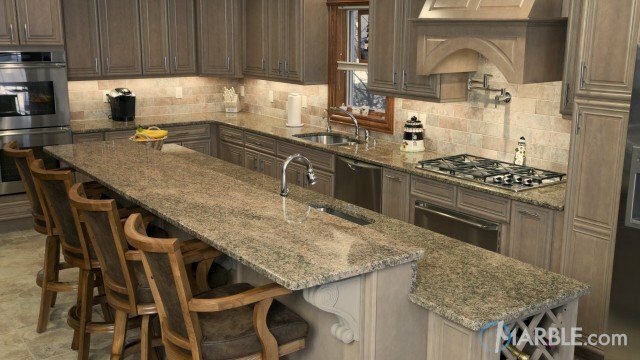 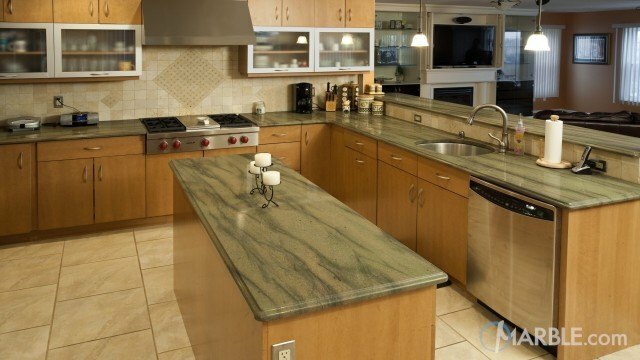 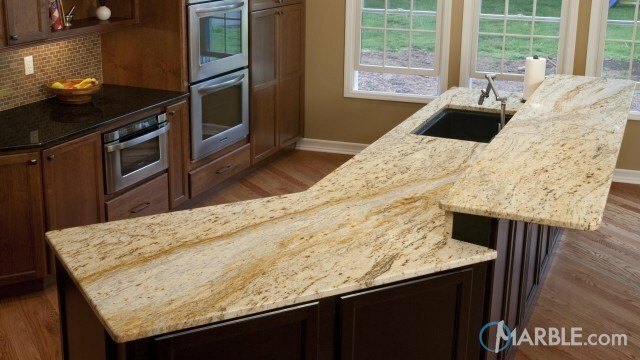 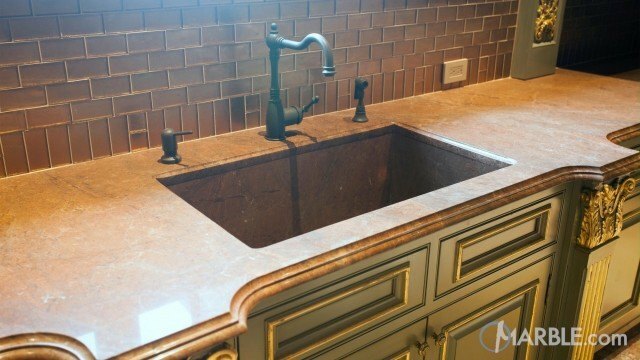 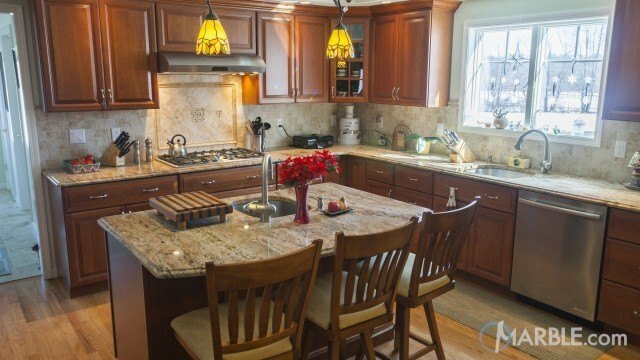 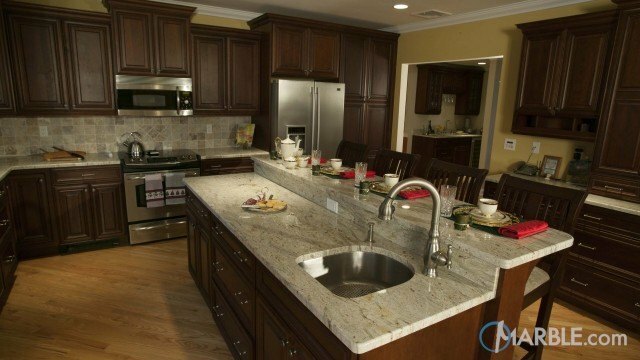 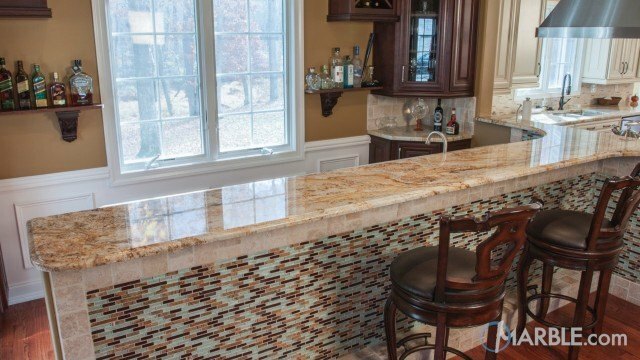 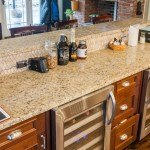 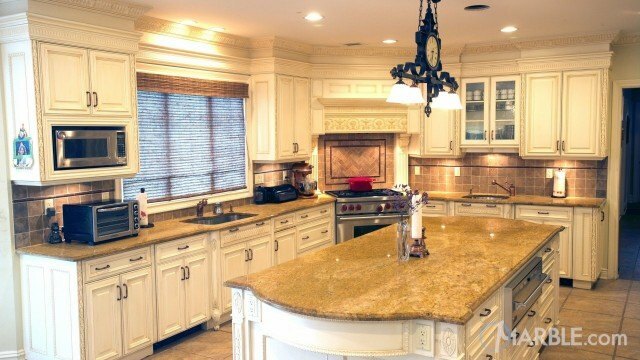 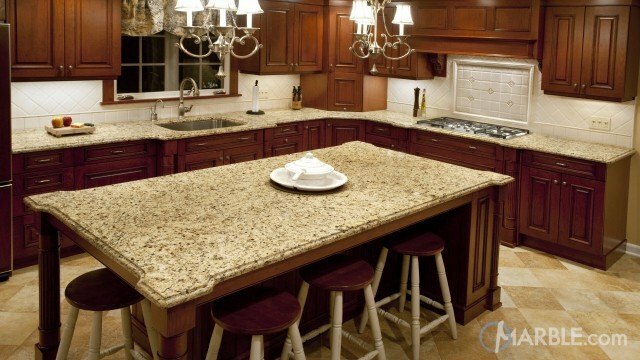 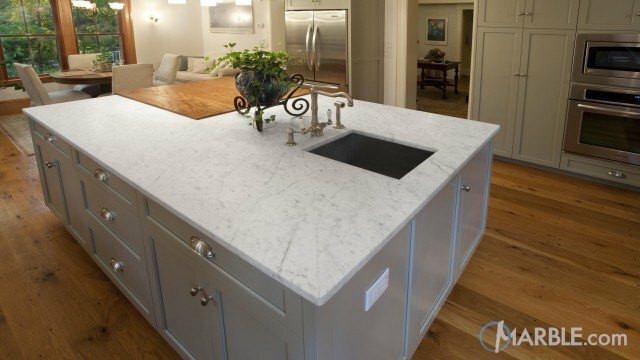 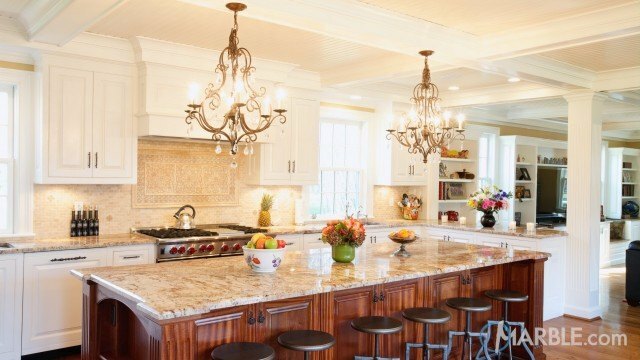 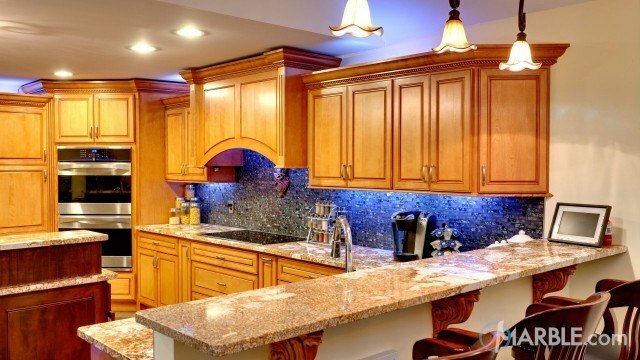 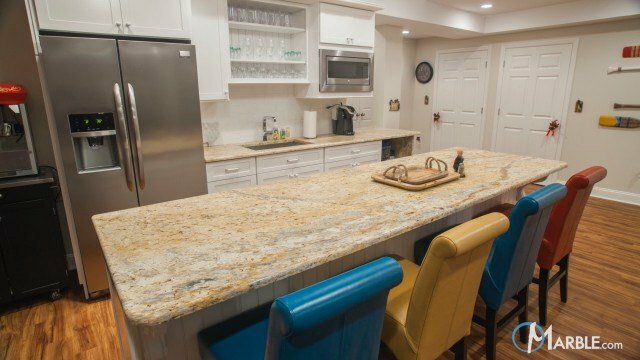 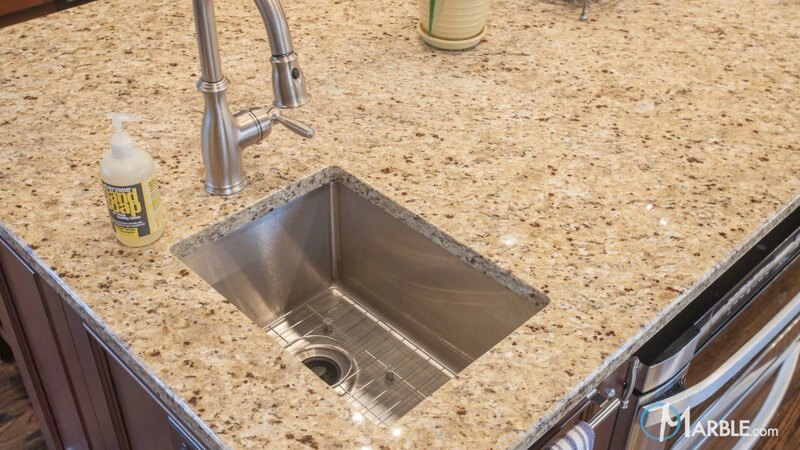 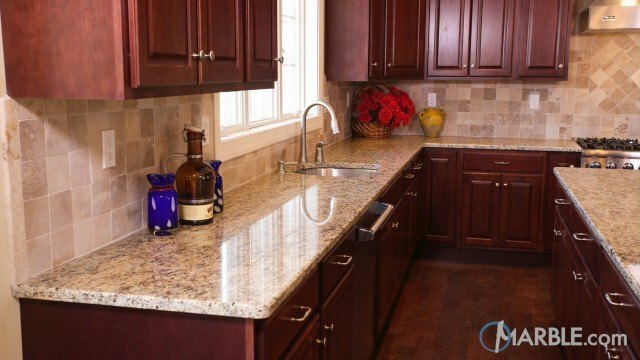 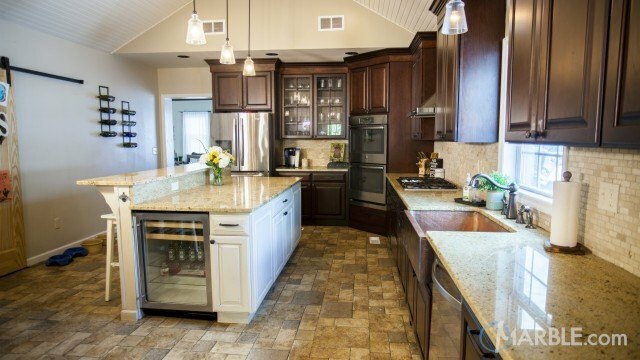 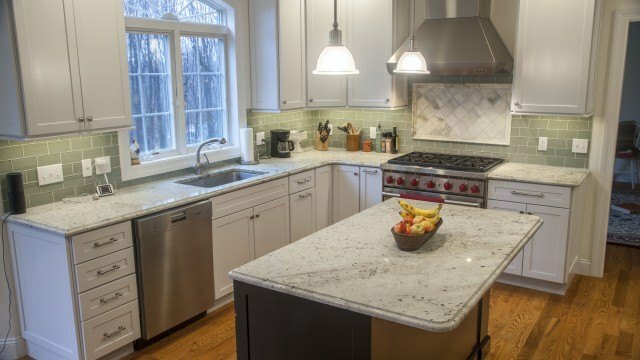 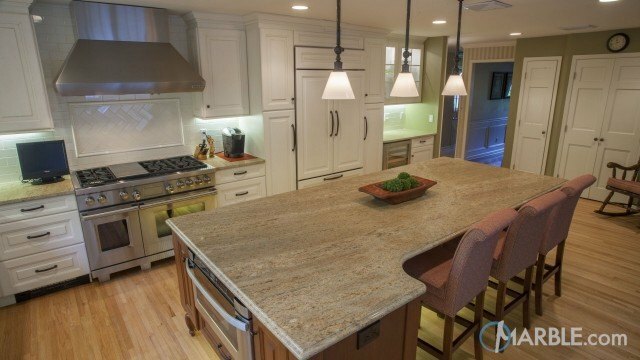 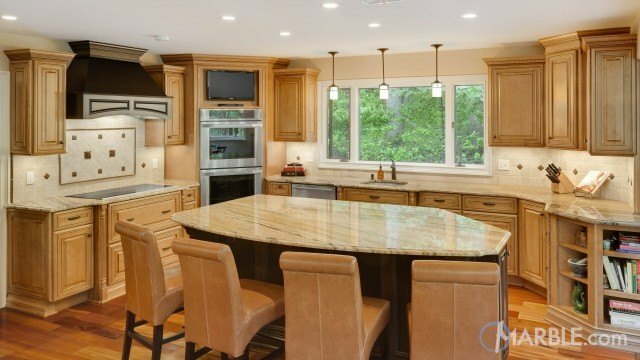 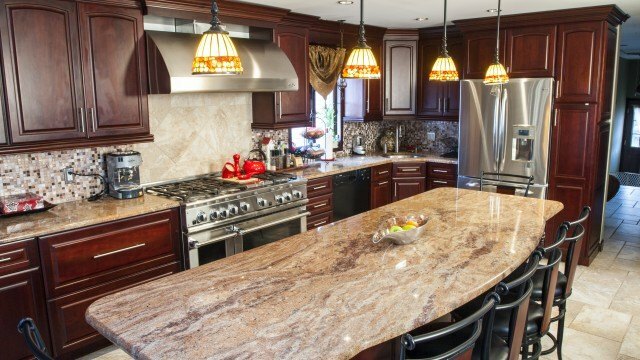 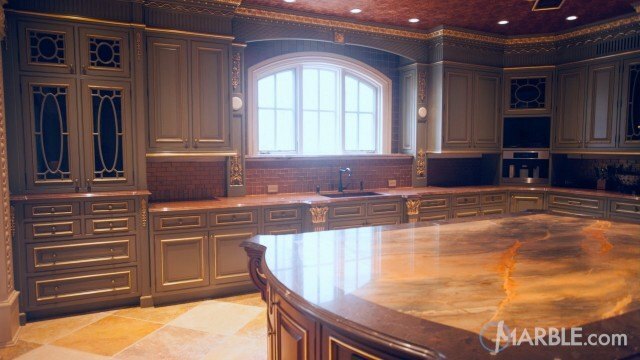 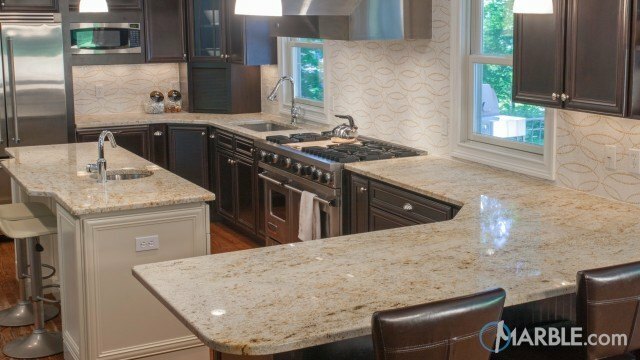 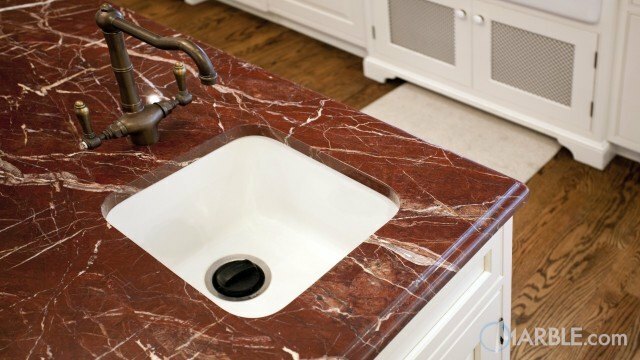 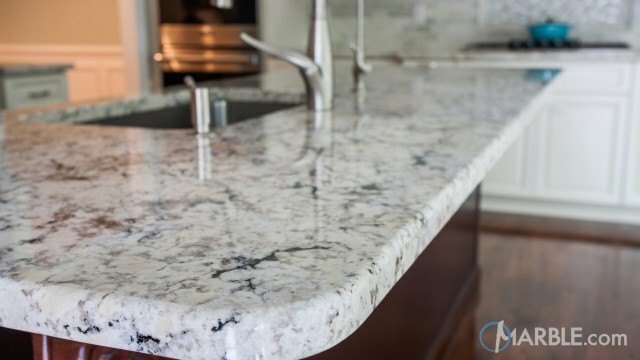 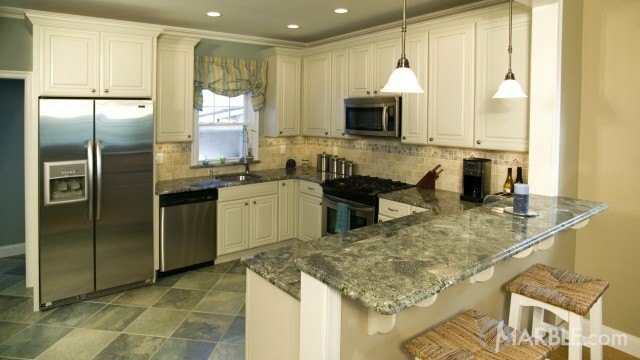 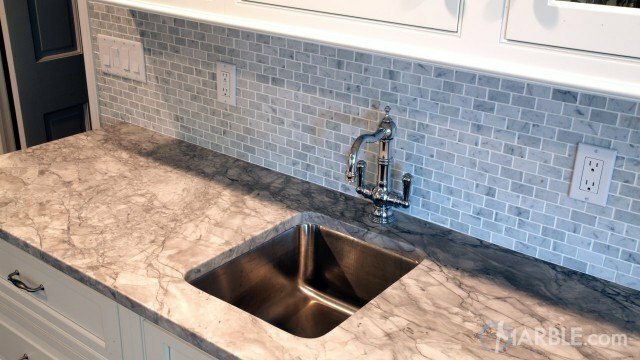 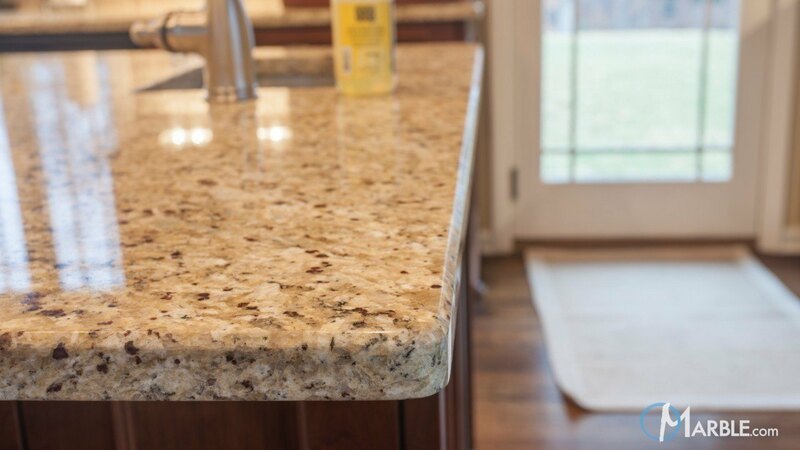 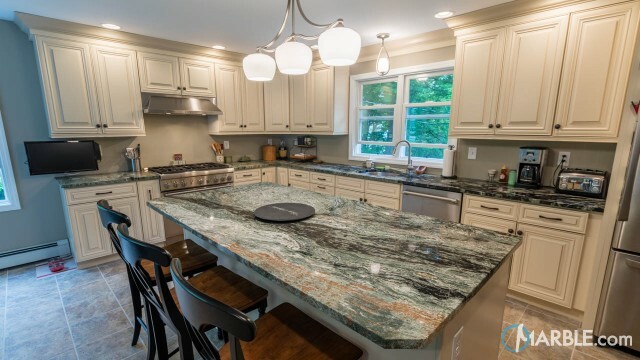 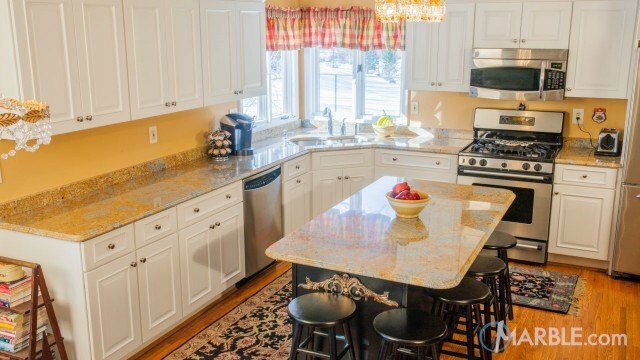 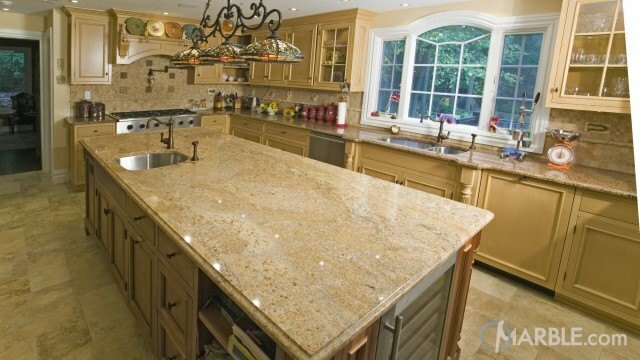 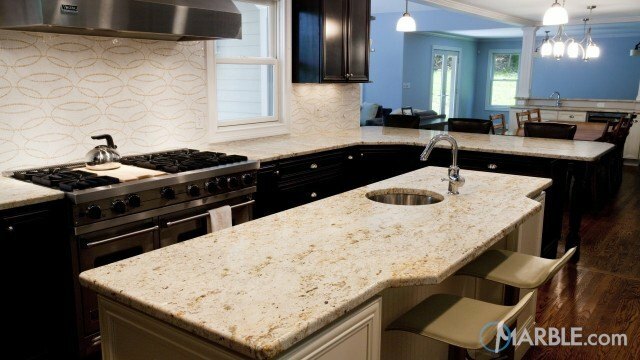 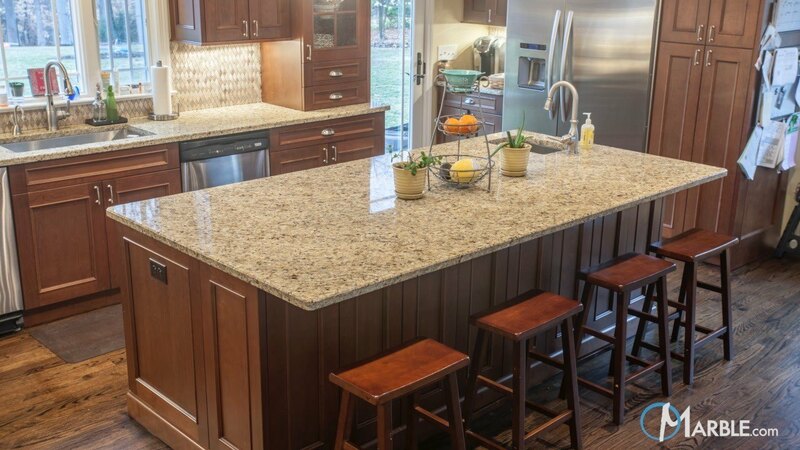 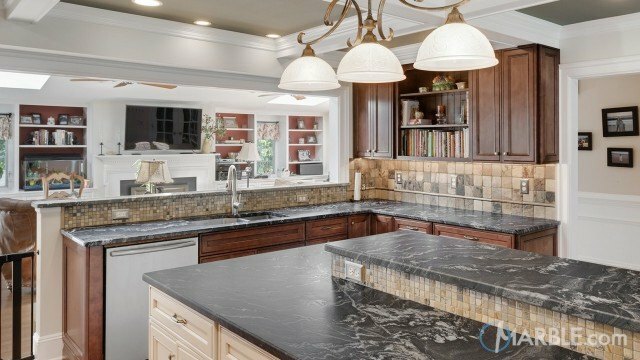 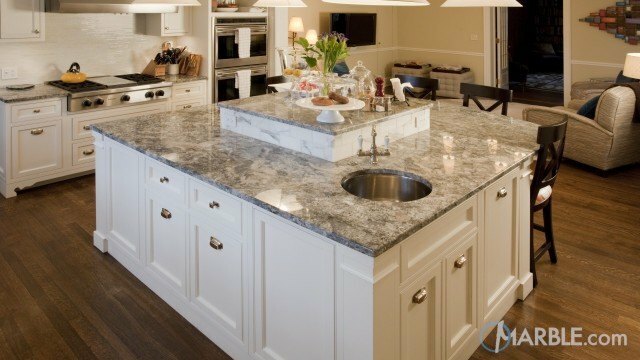 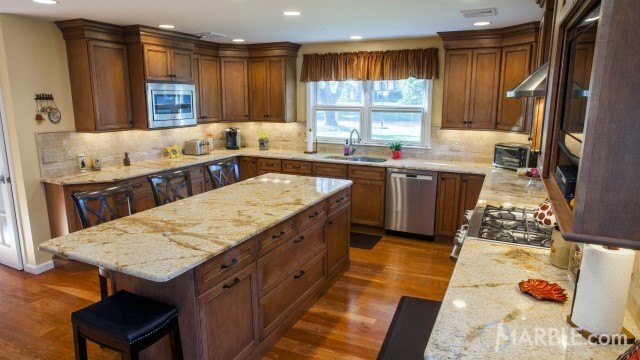 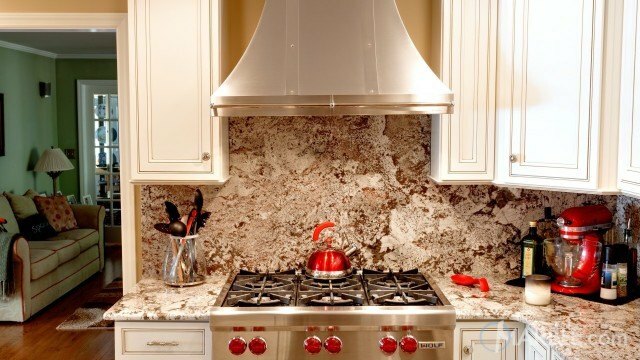 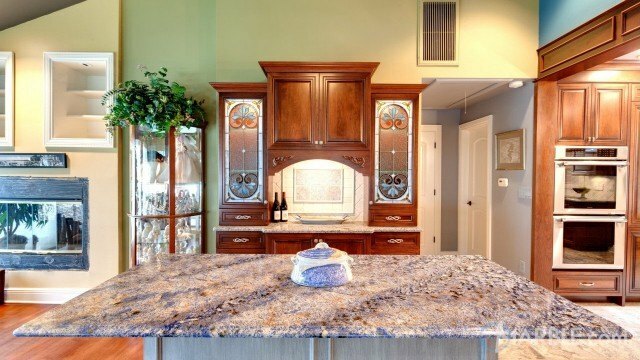 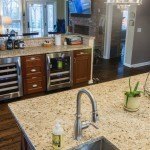 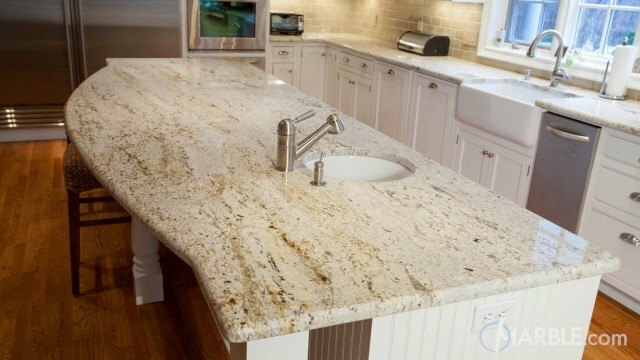 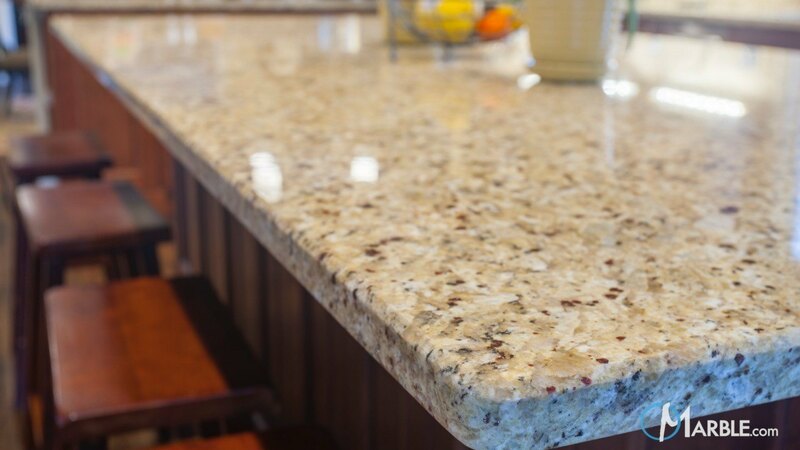 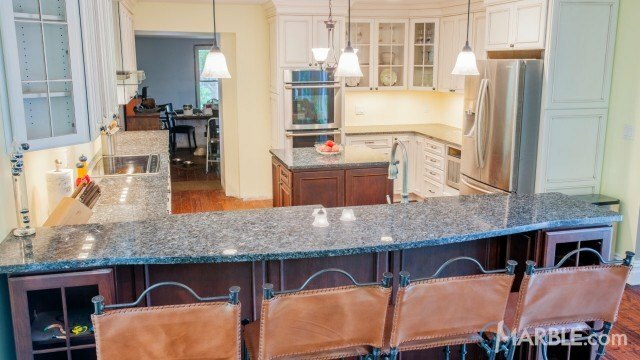 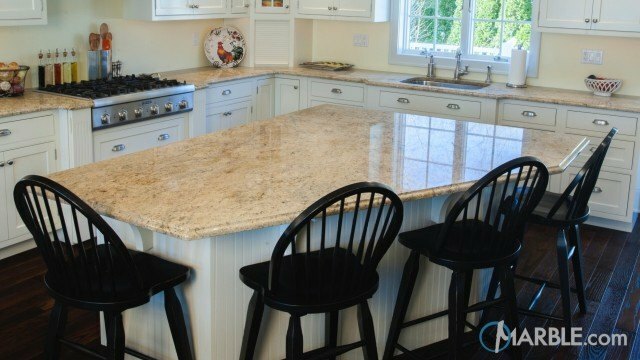 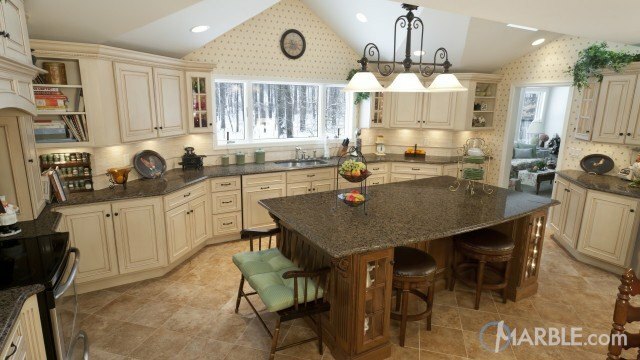 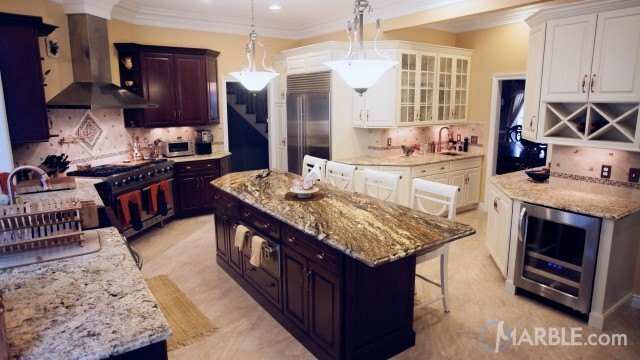 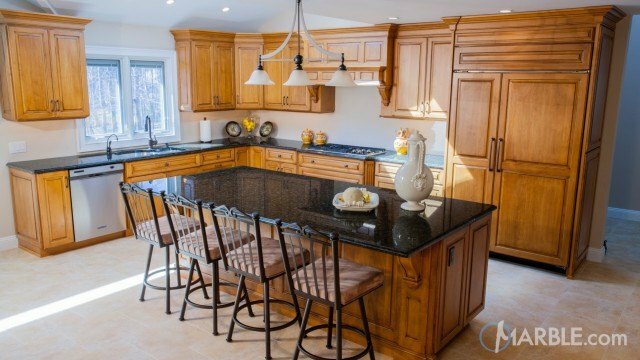 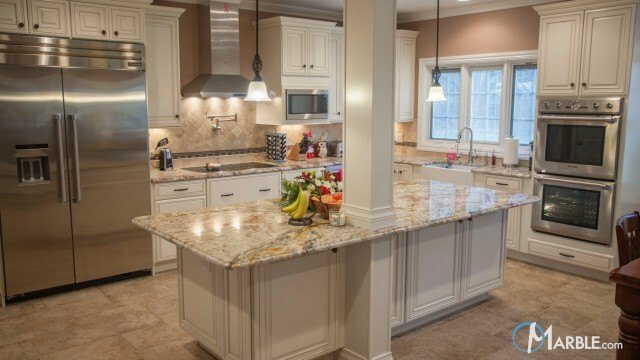 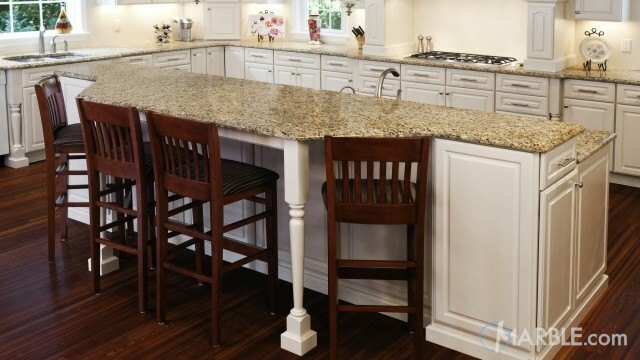 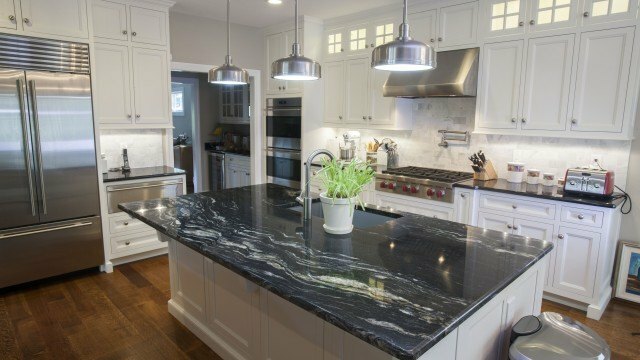 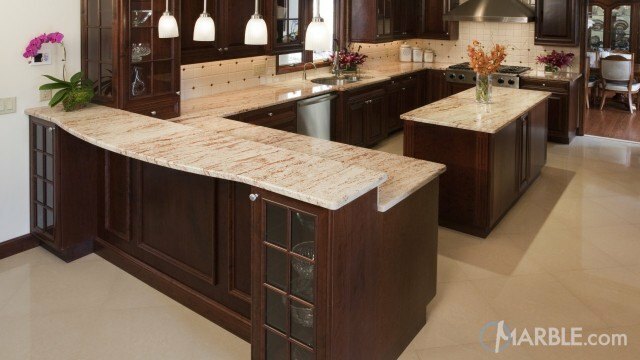 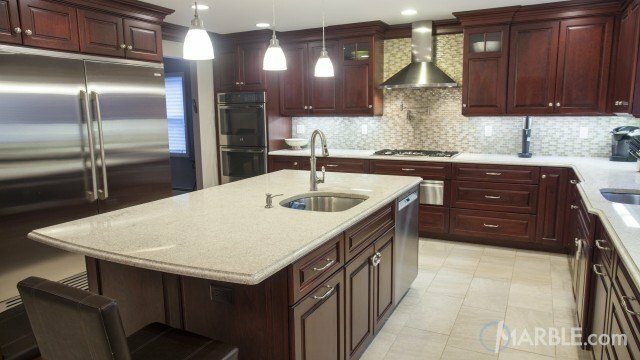 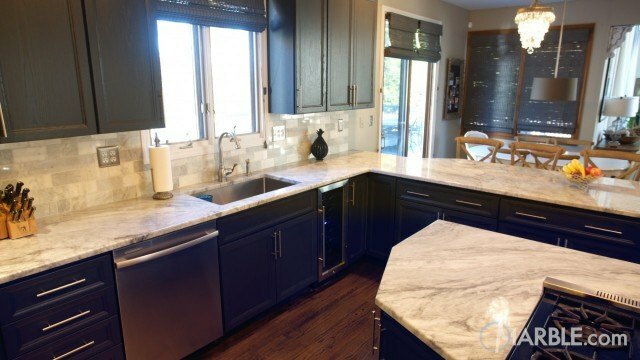 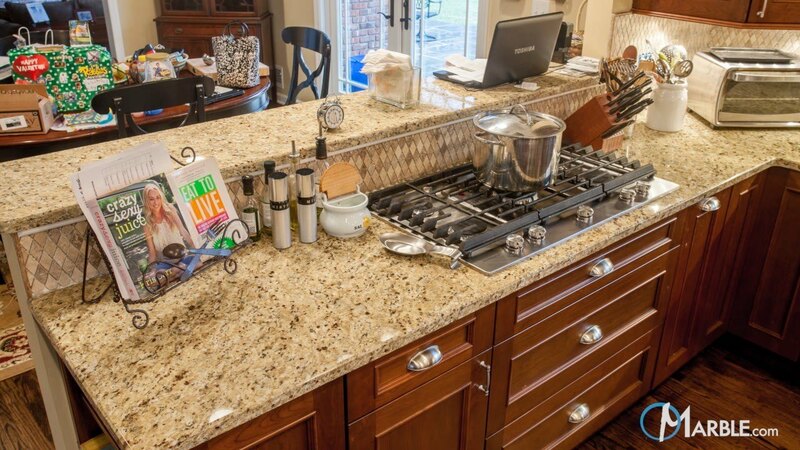 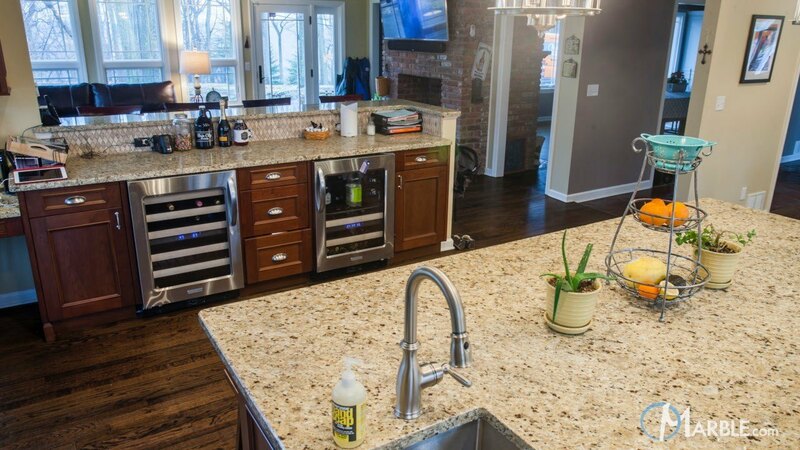 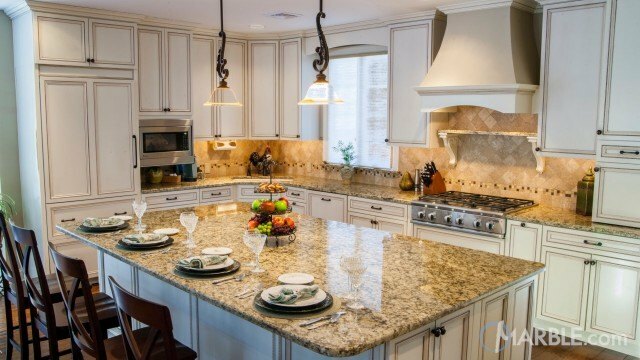 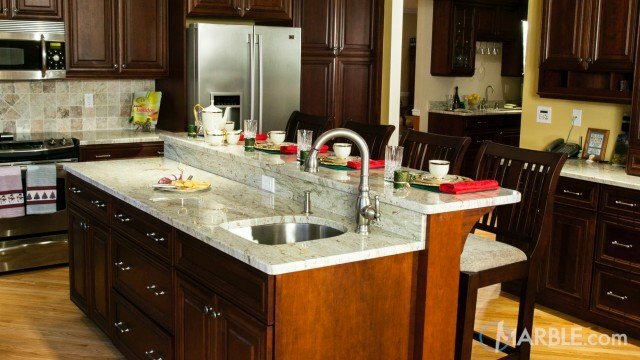 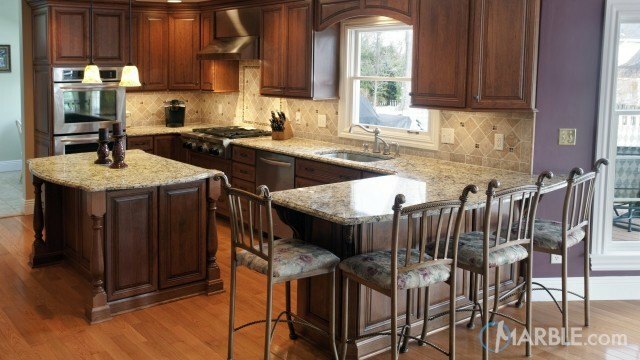 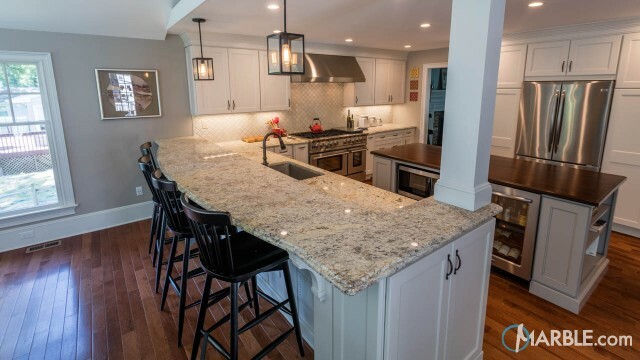 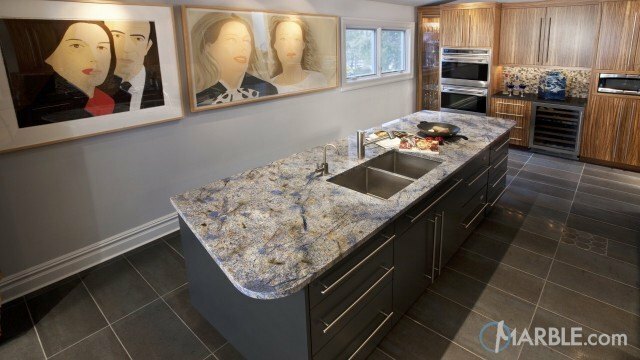 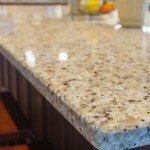 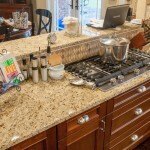 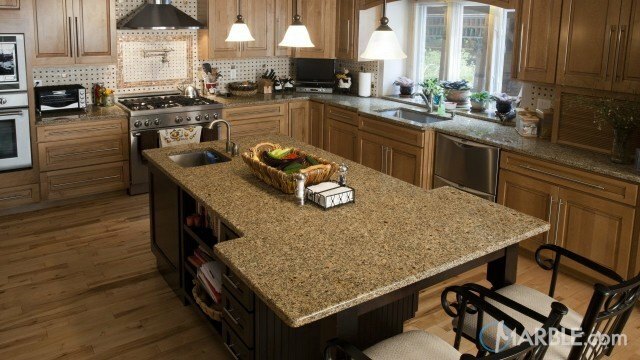 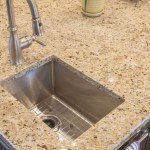 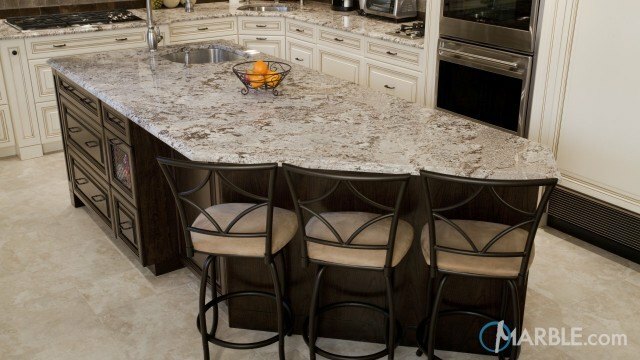 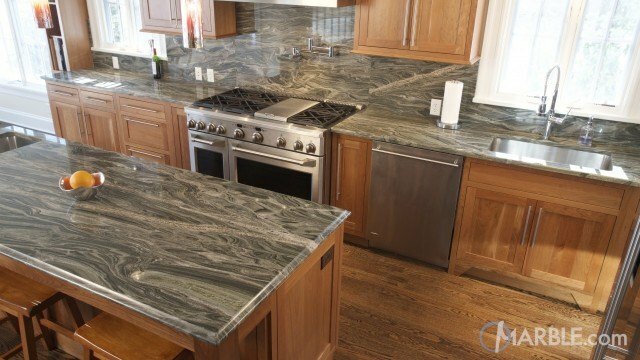 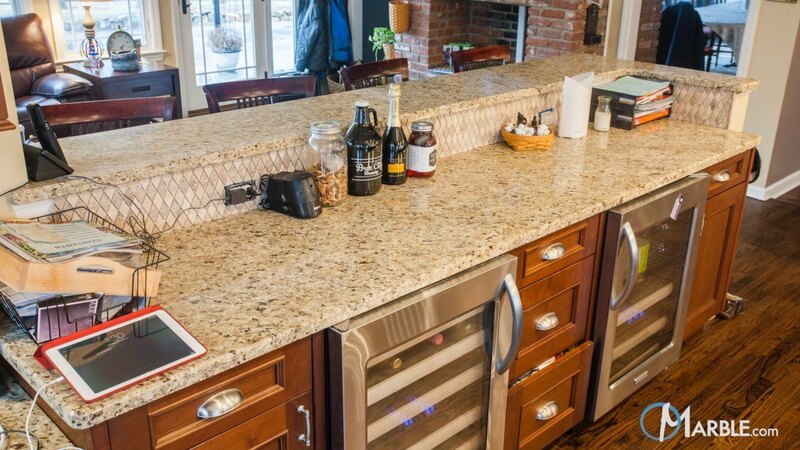 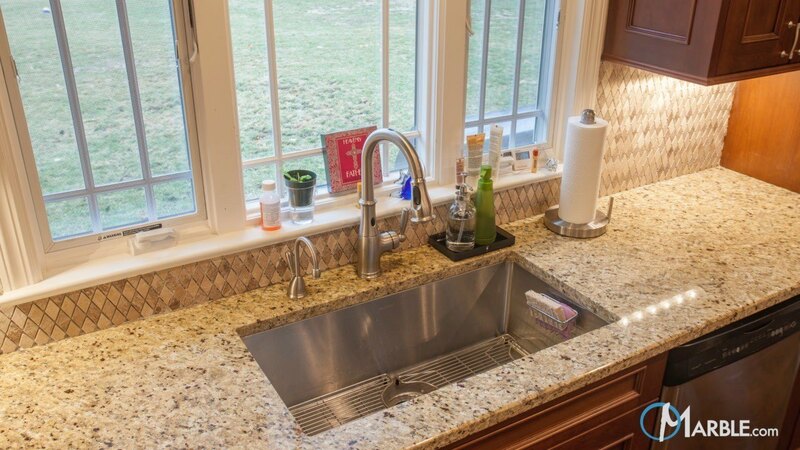 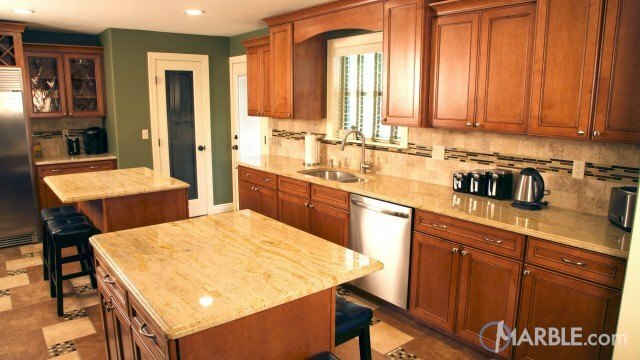 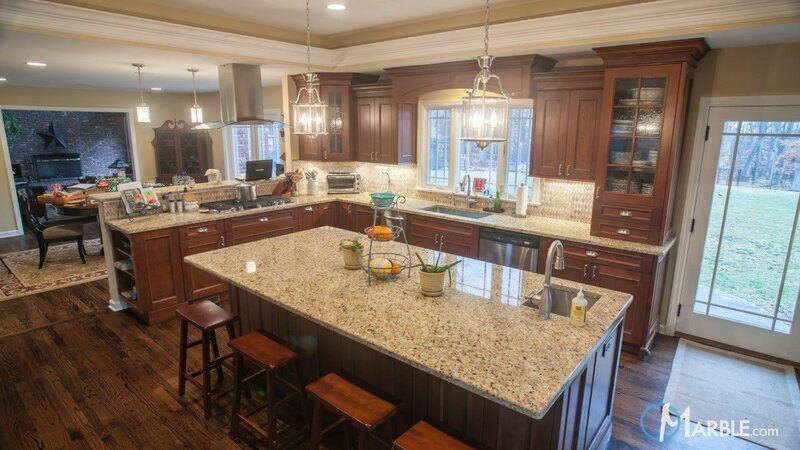 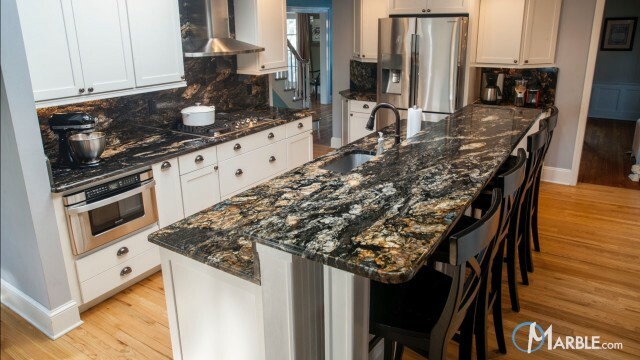 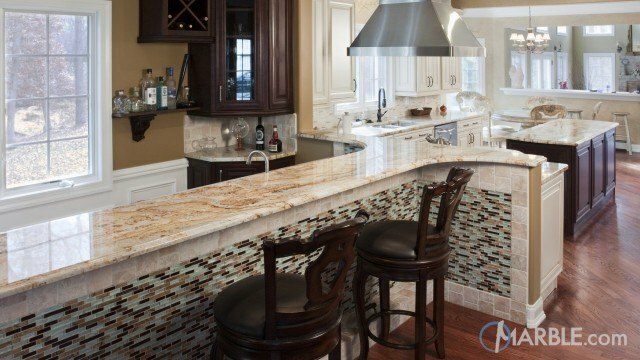 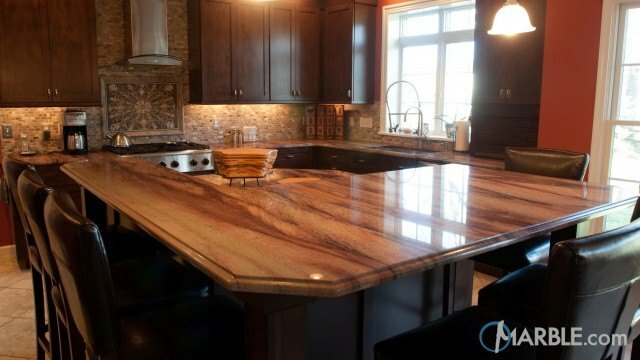 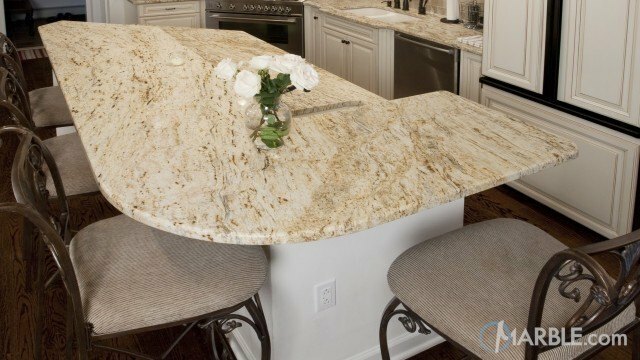 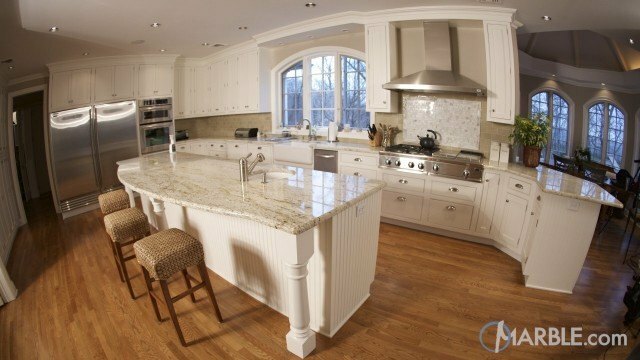 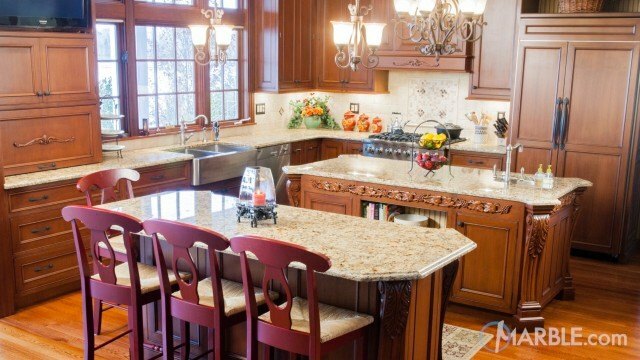 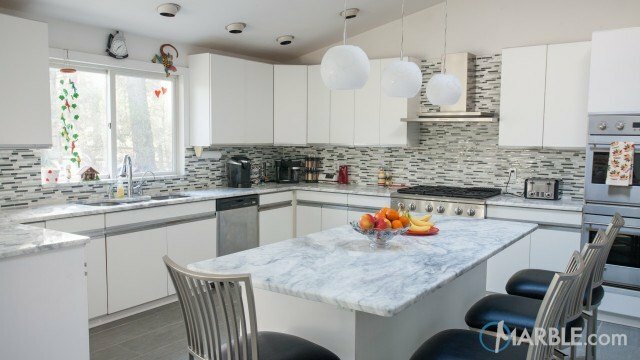 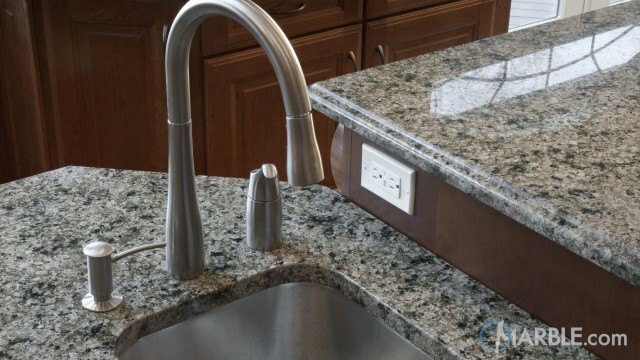 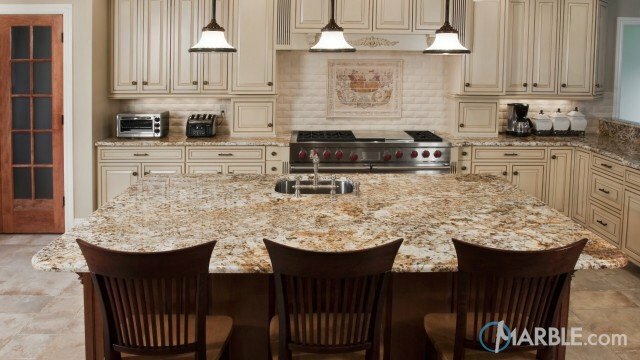 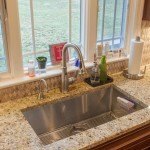 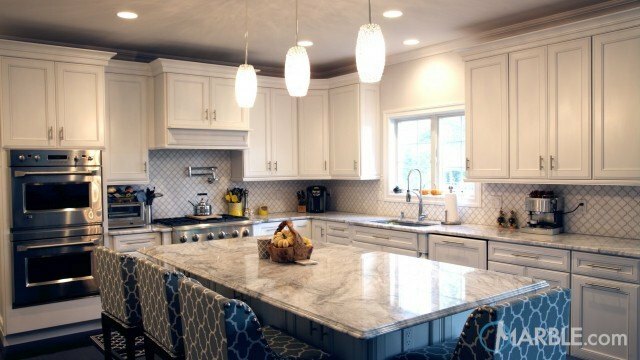 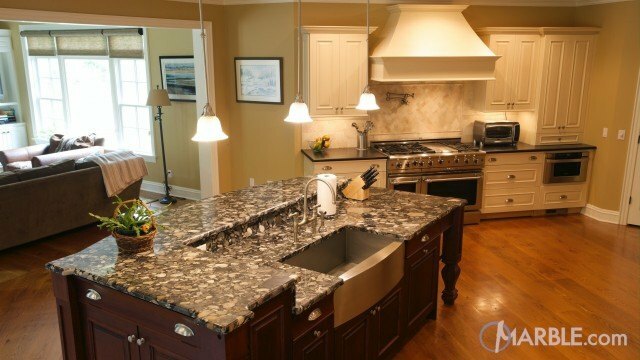 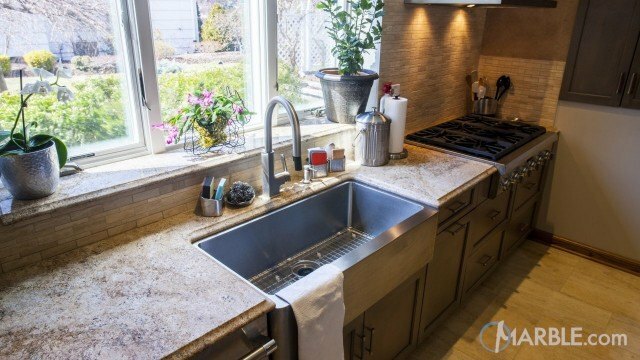 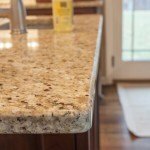 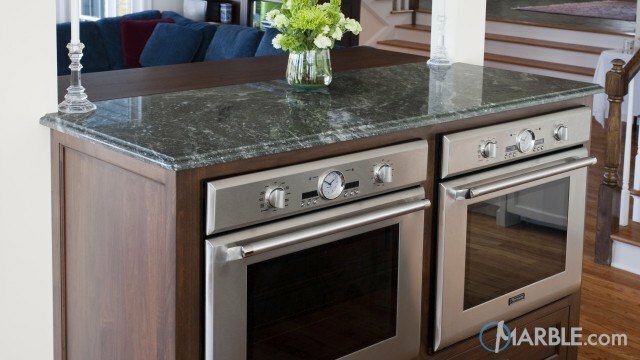 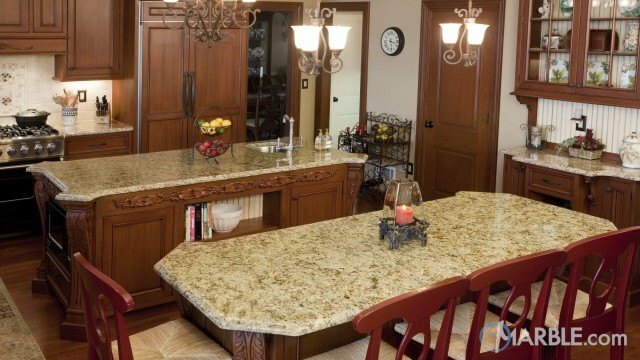 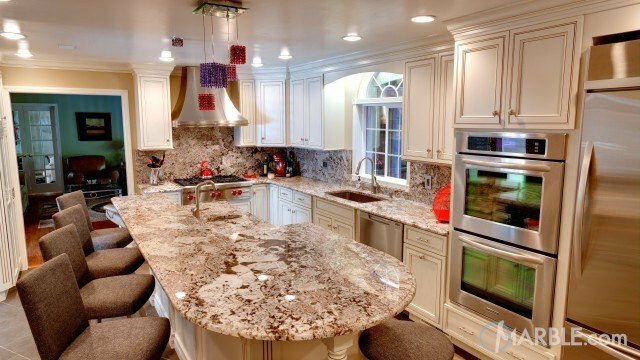 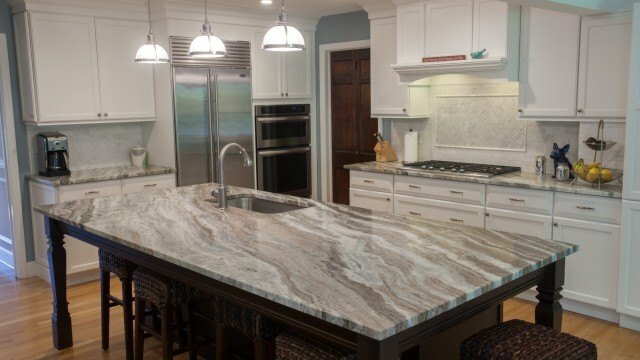 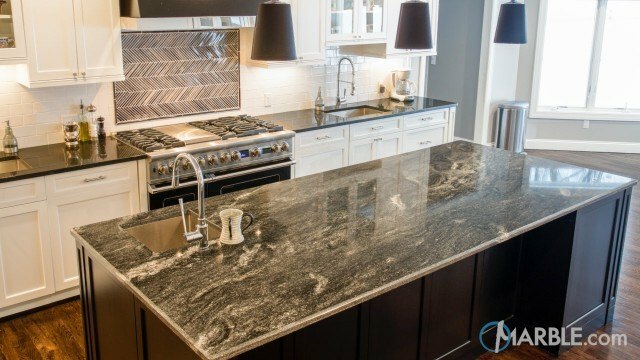 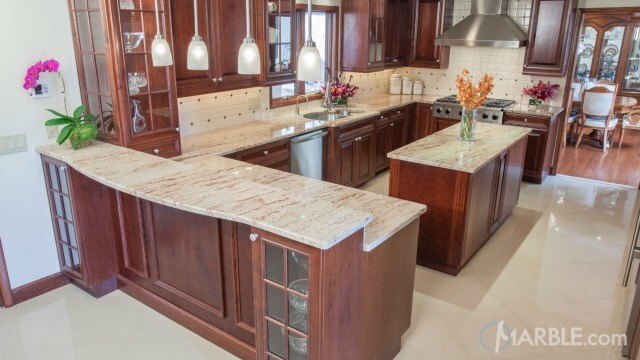 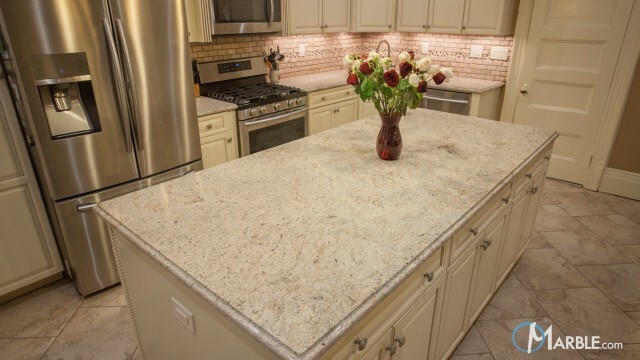 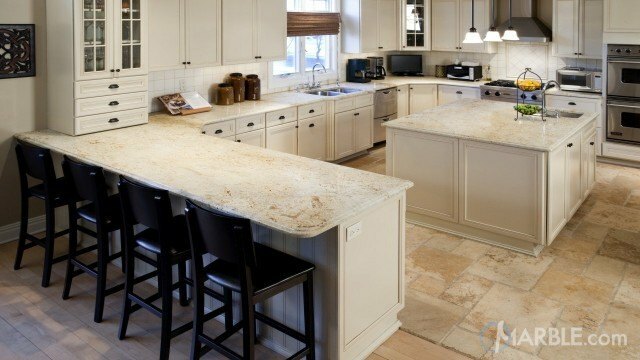 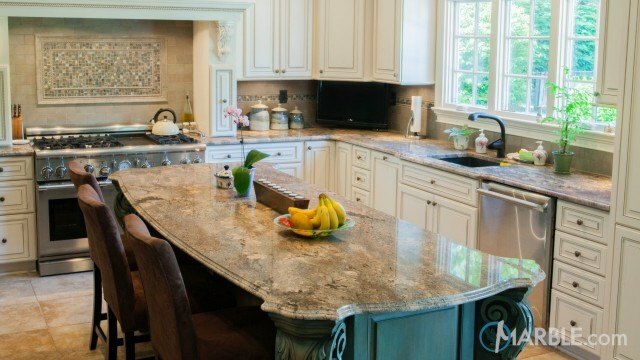 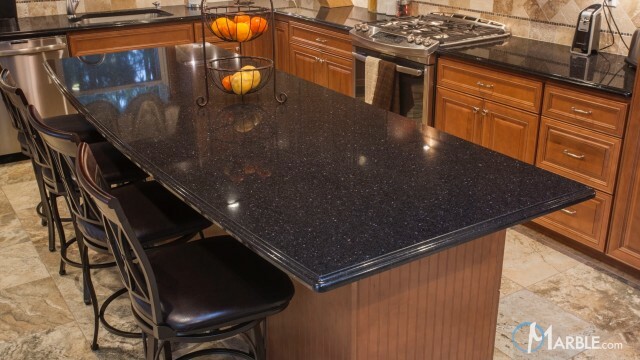 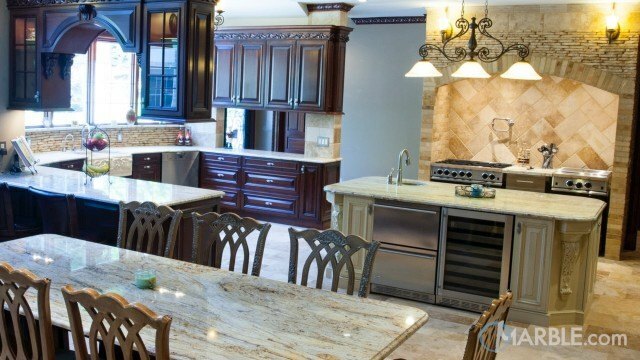 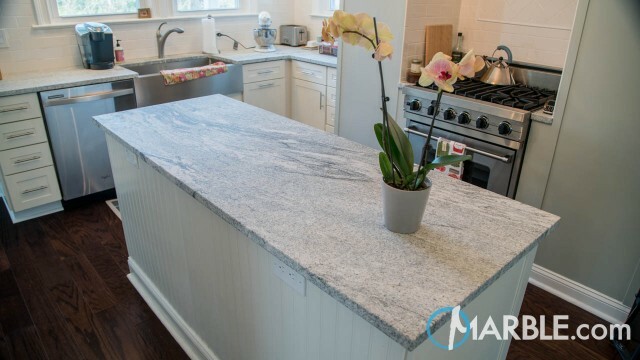 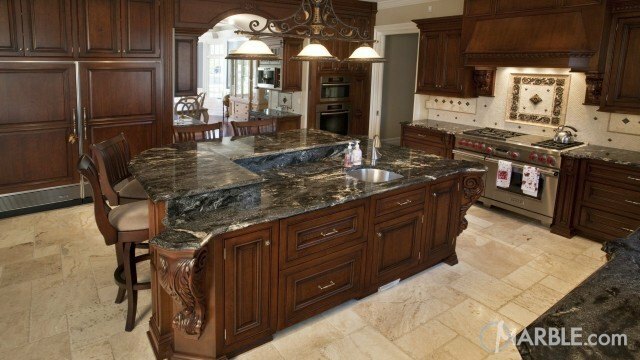 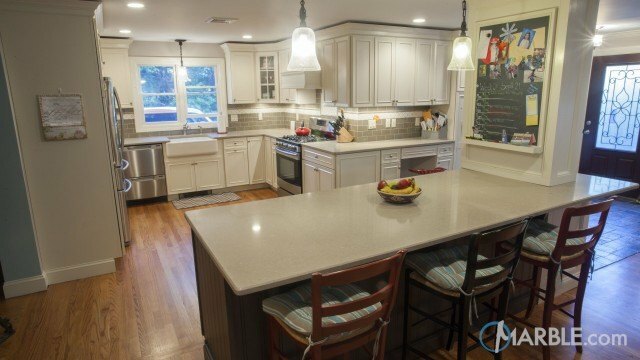 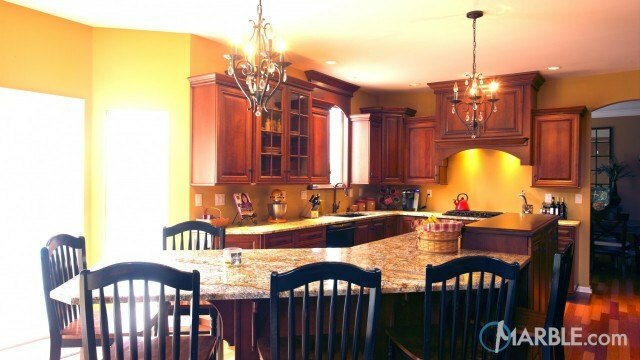 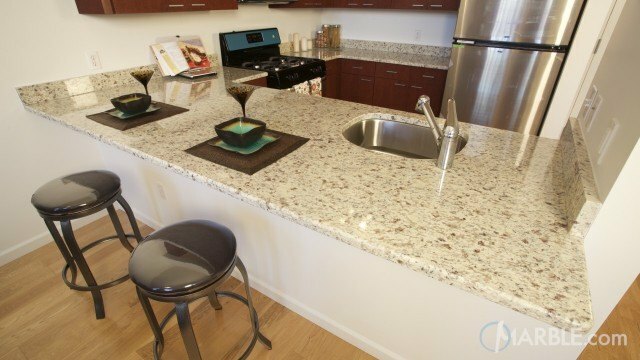 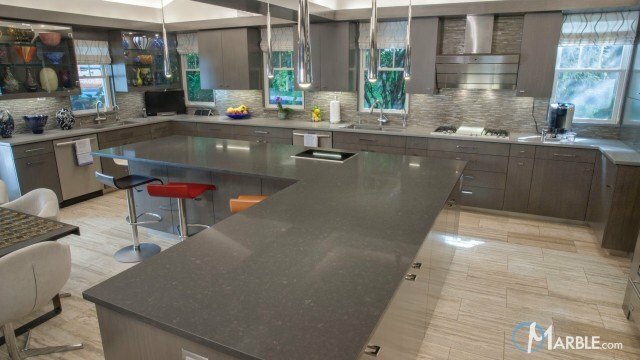 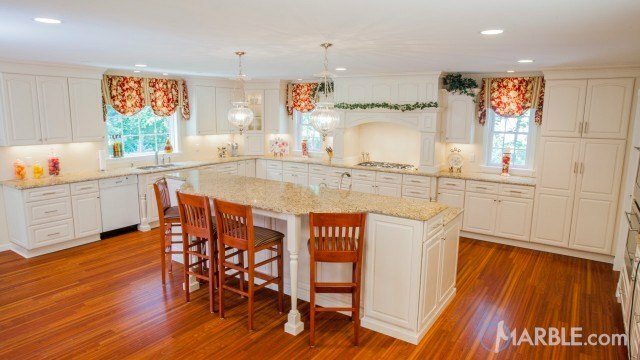 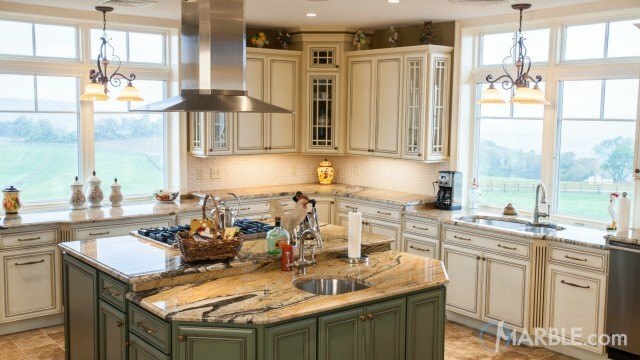 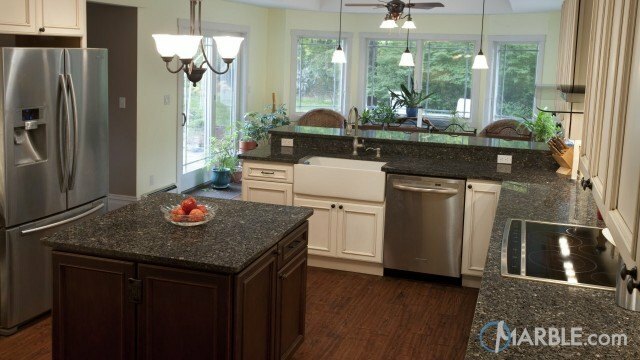 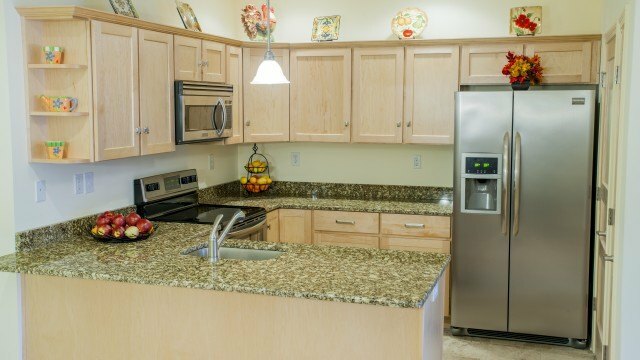 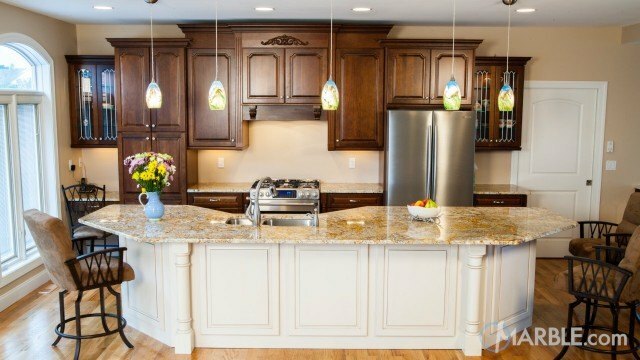 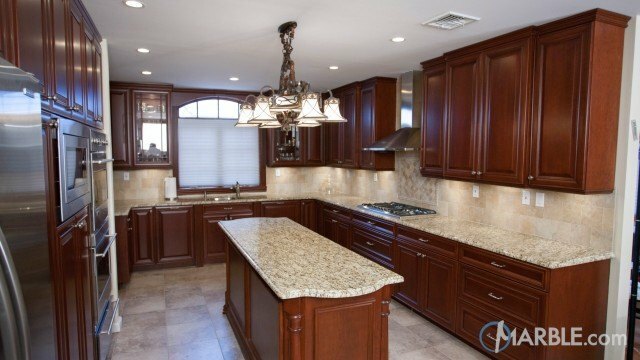 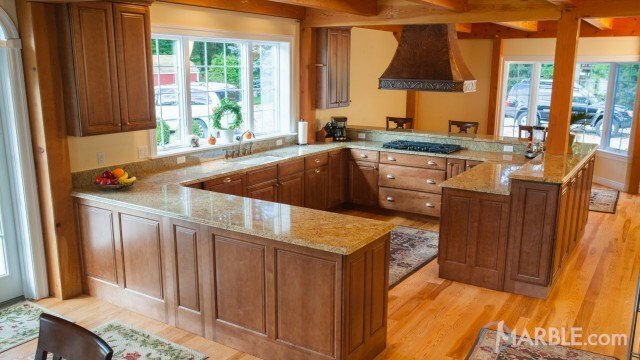 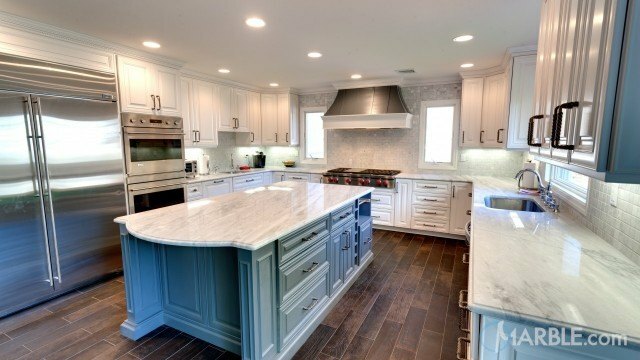 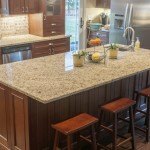 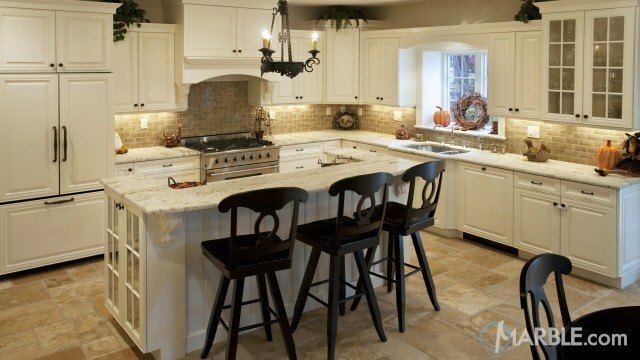 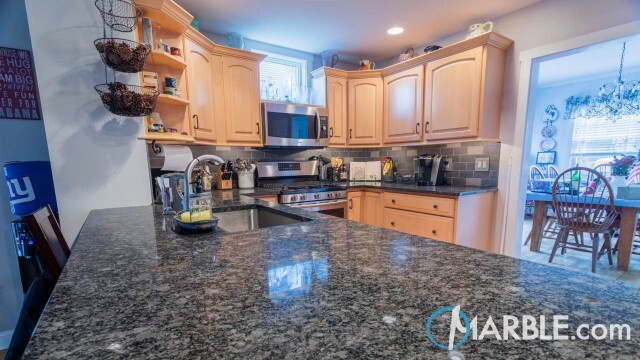 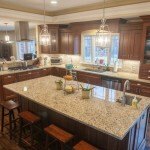 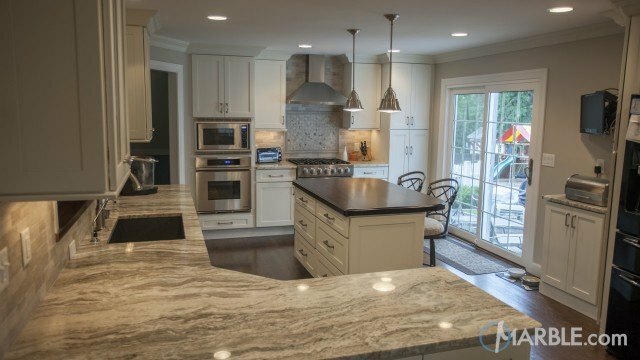 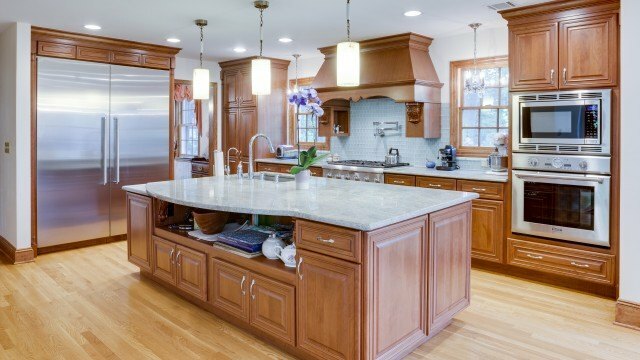 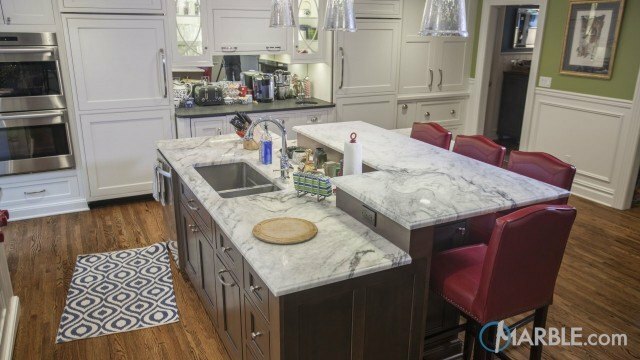 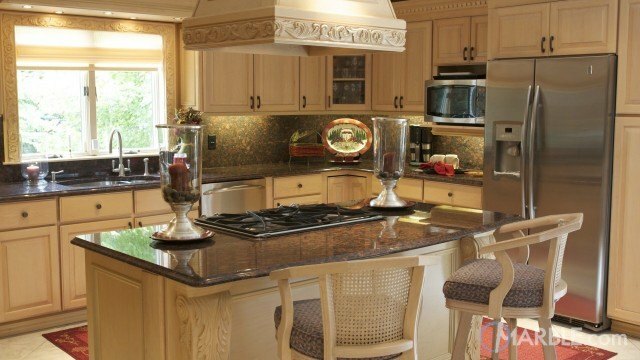 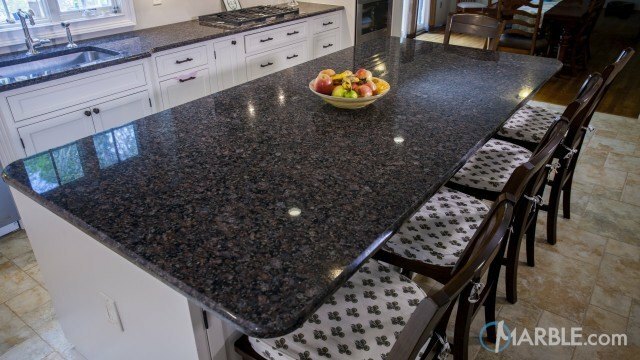 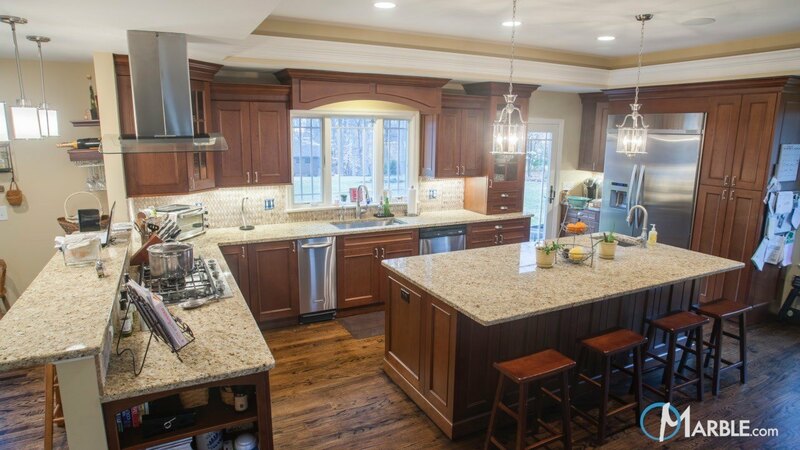 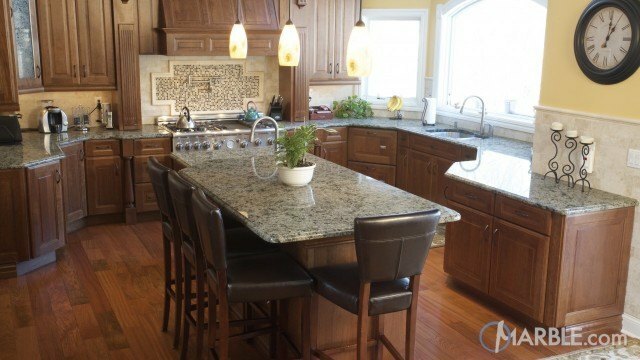 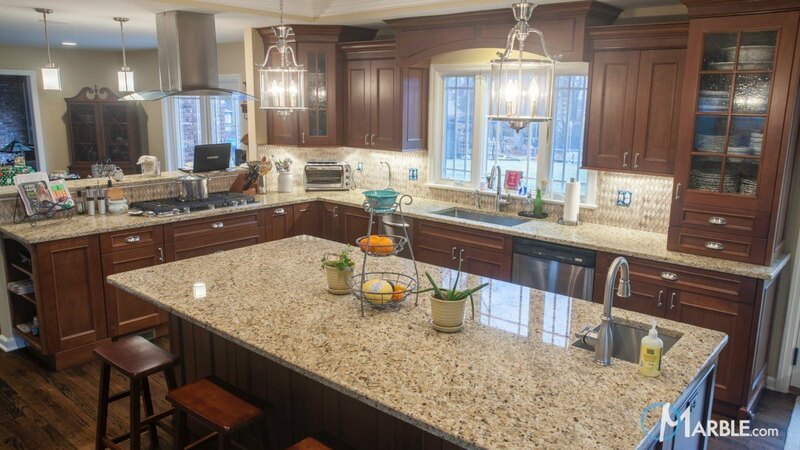 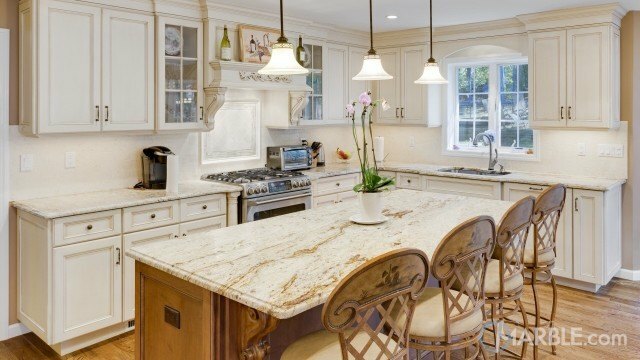 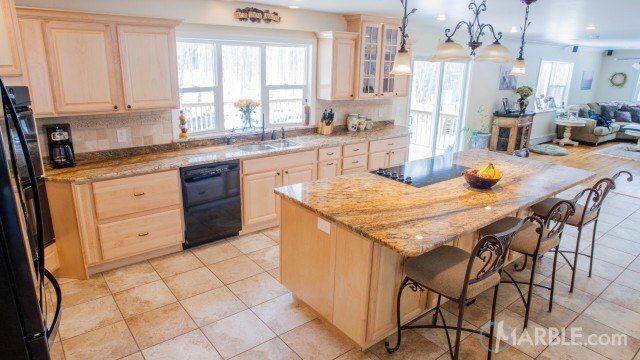 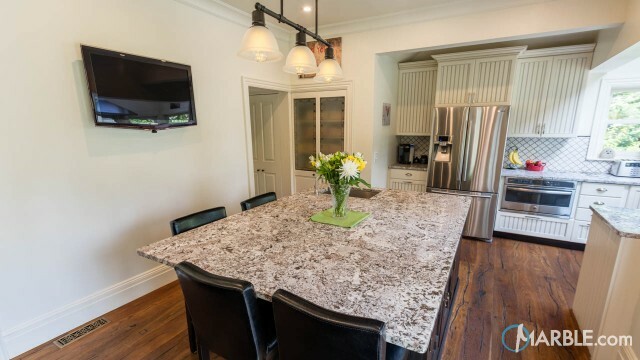 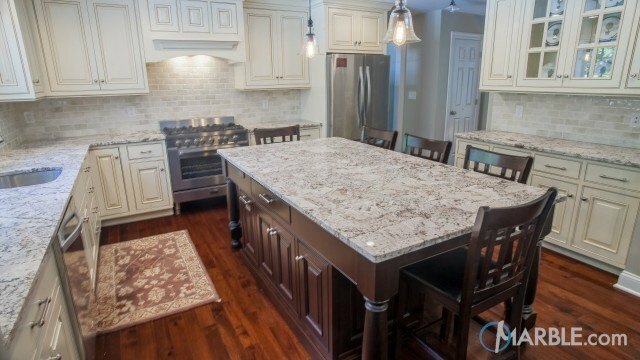 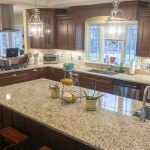 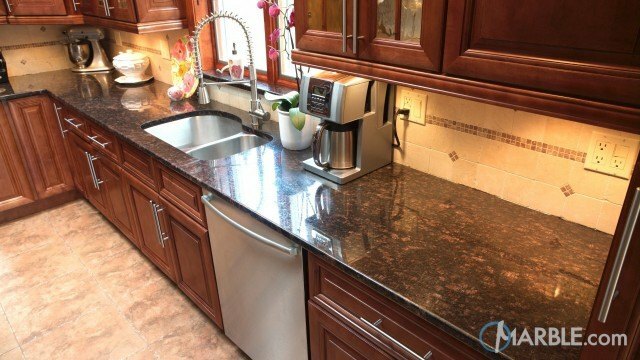 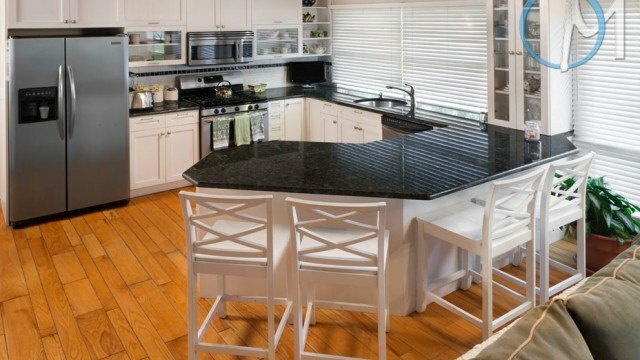 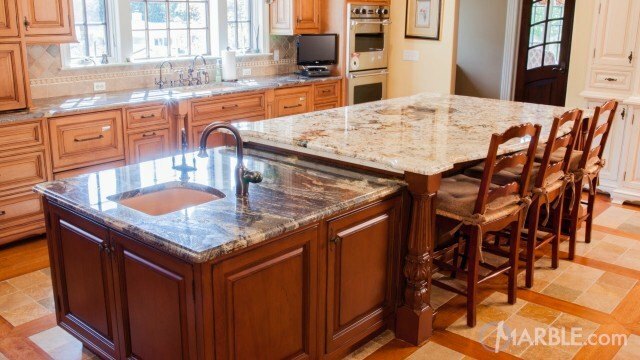 Santa Cecilia is a classic and popular granite that’s perfect for traditional and rustic home designs. 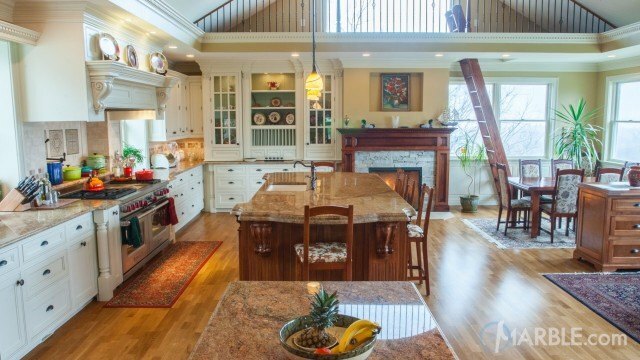 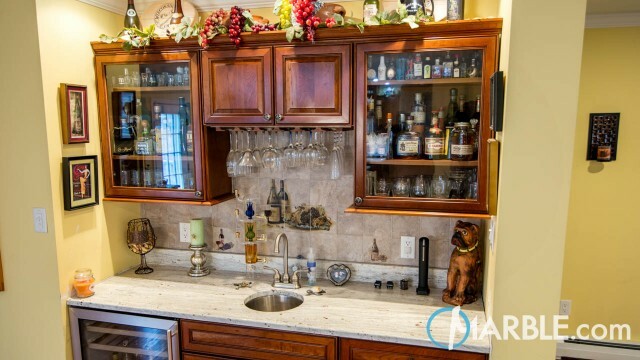 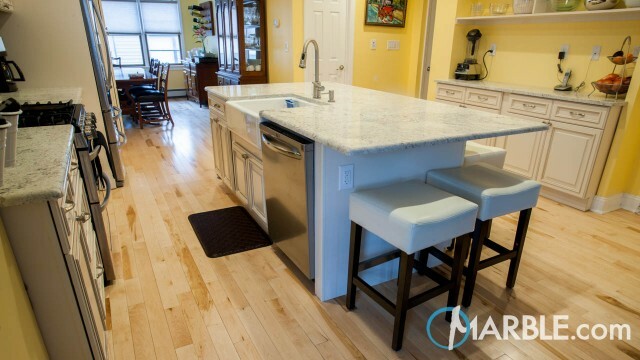 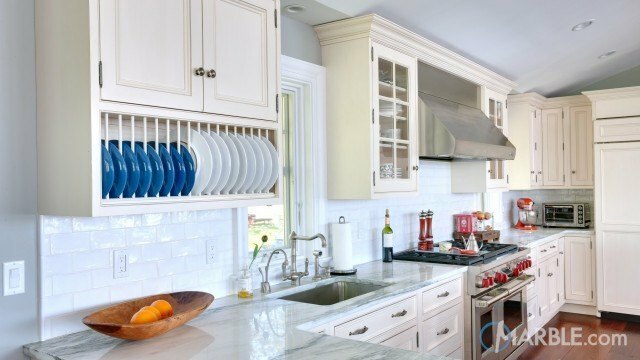 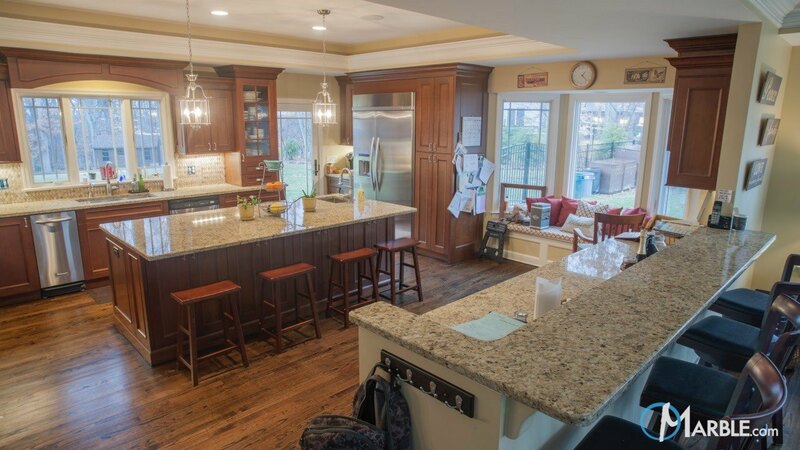 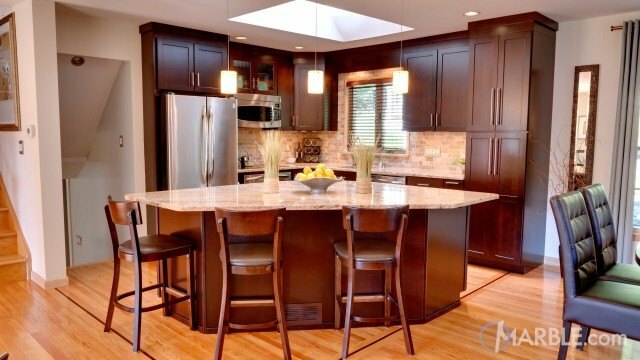 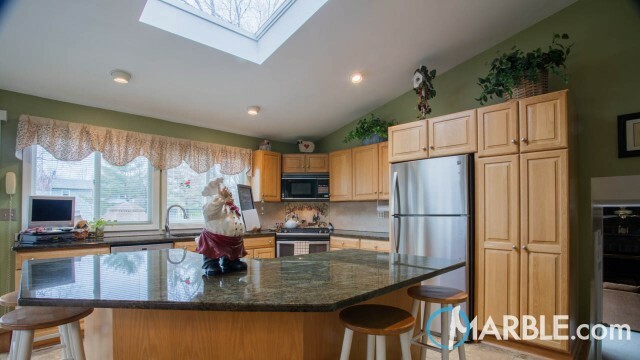 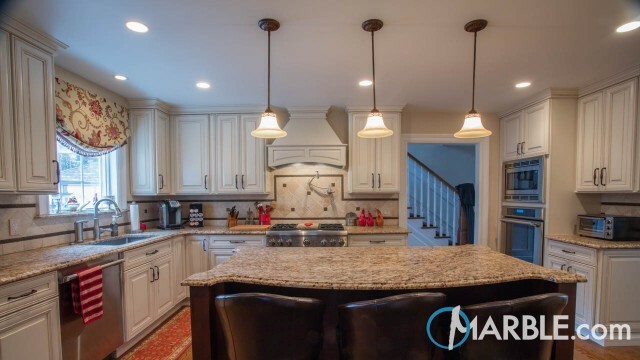 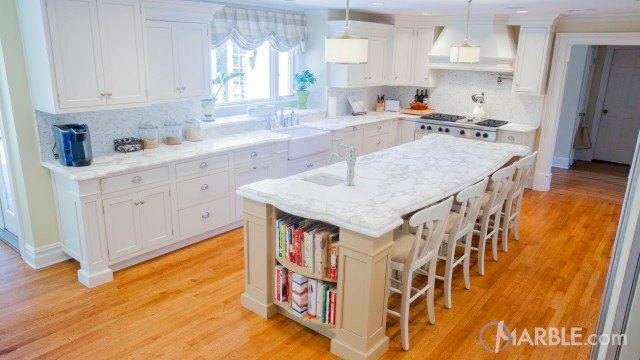 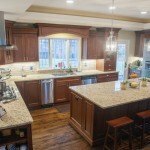 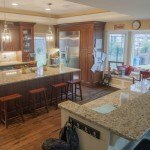 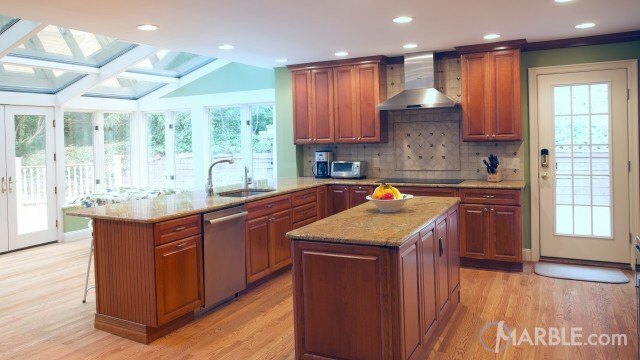 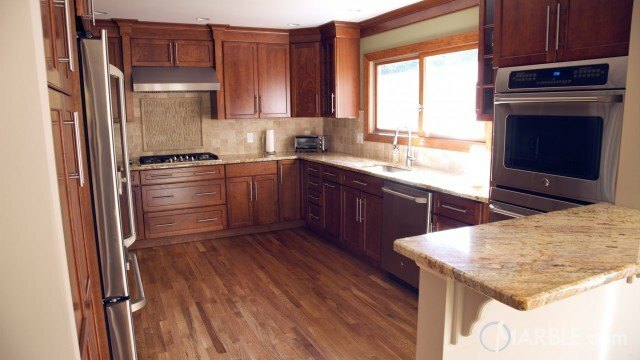 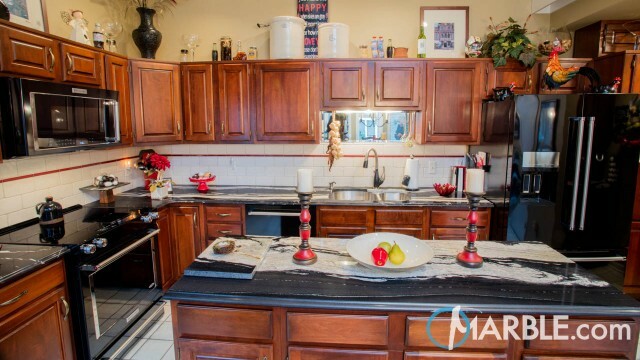 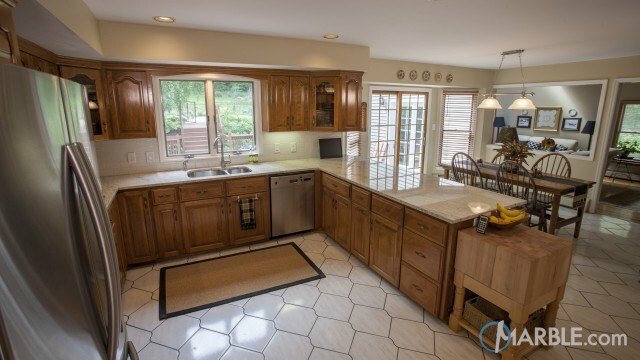 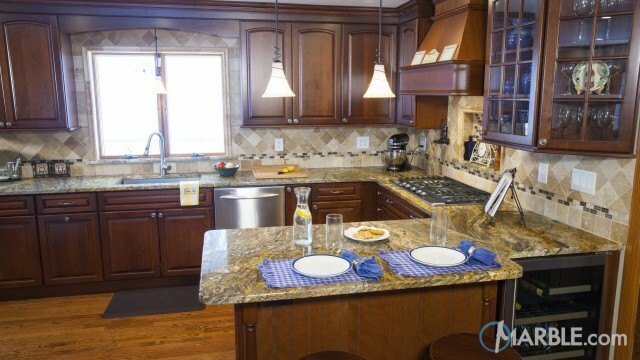 The L-Shaped layout of the kitchen creates a practical workflow for cooking and cleaning. 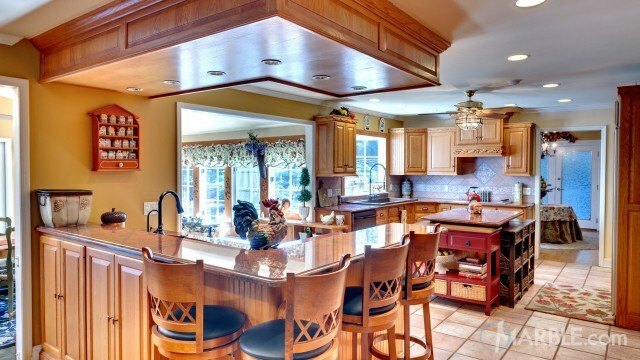 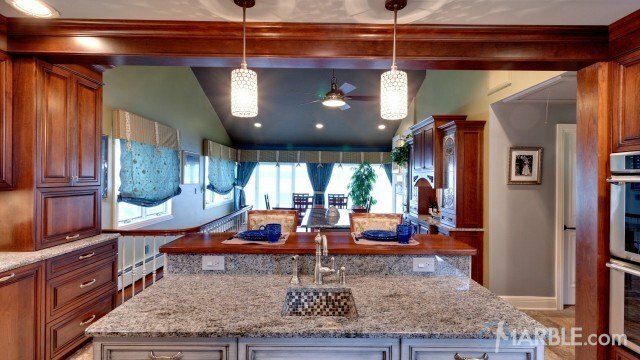 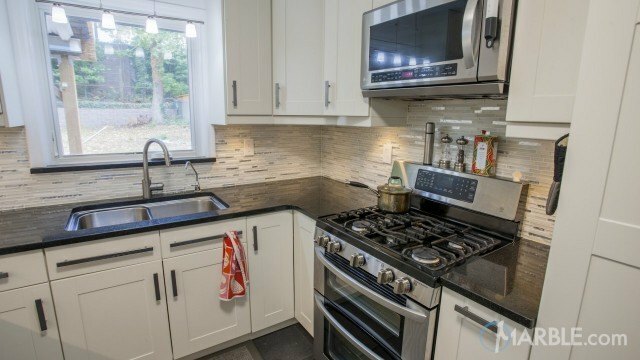 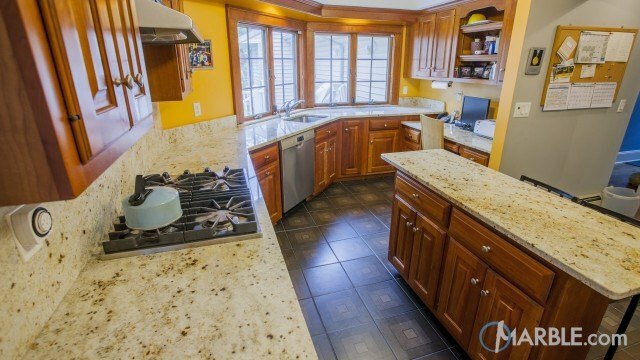 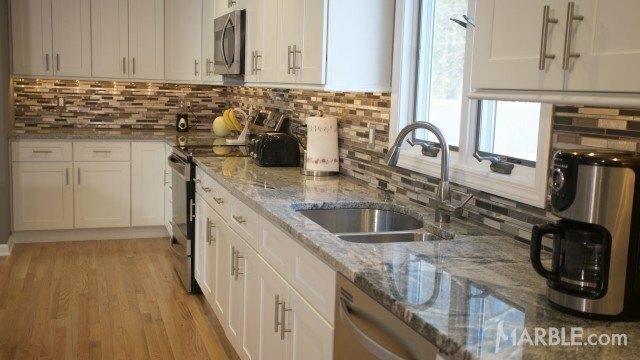 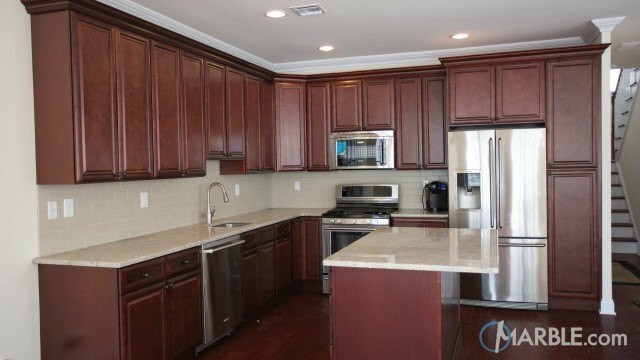 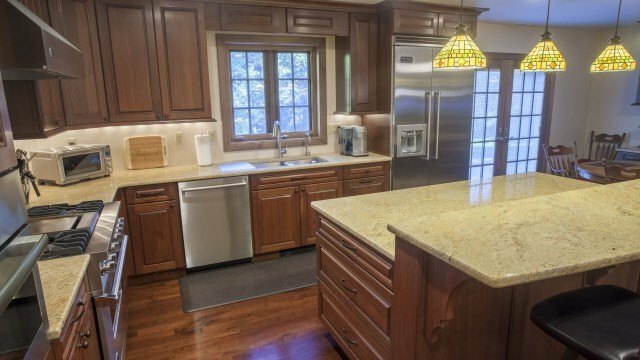 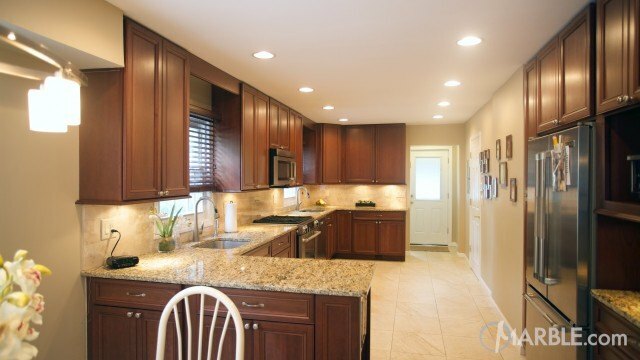 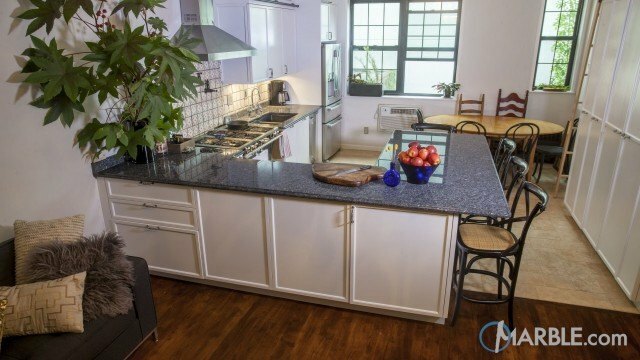 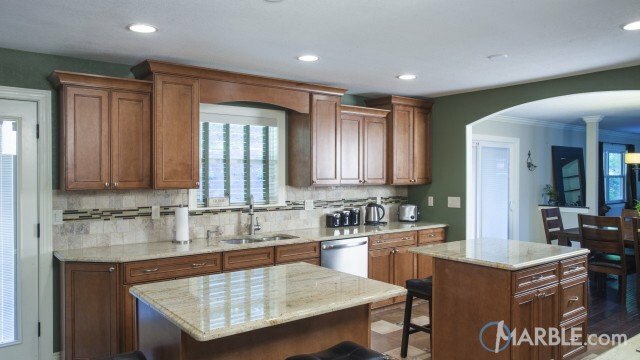 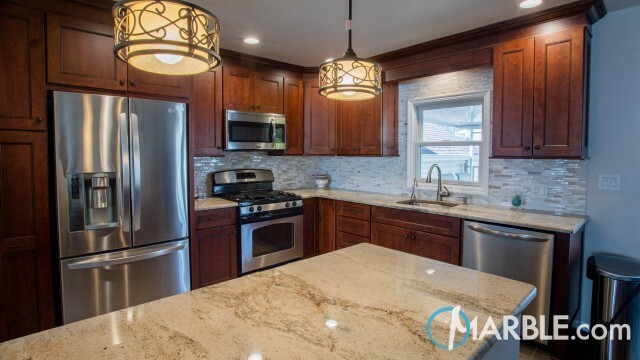 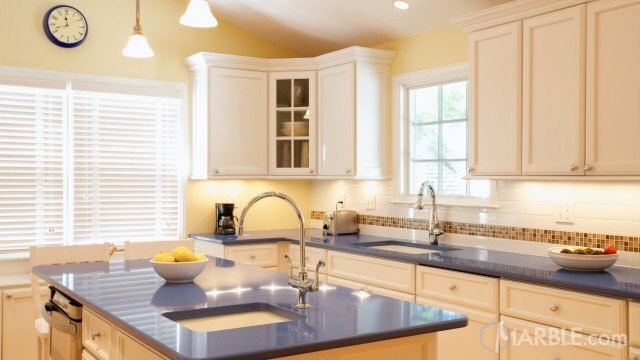 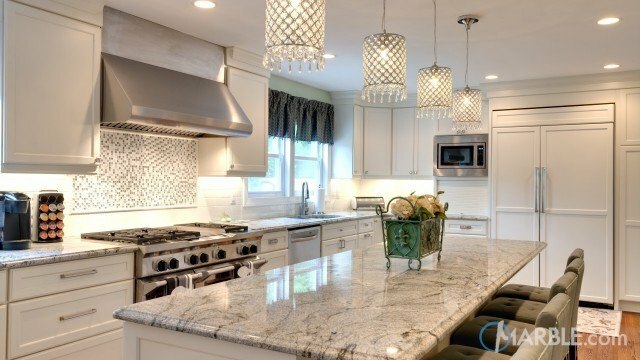 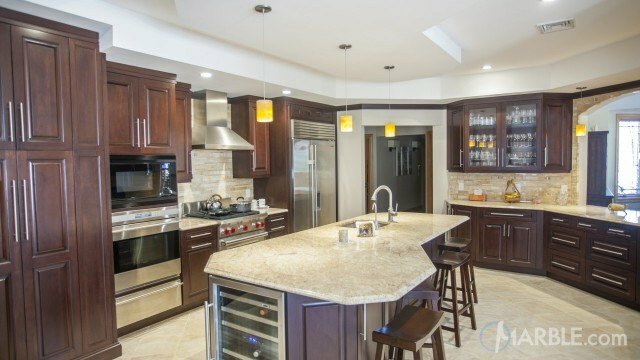 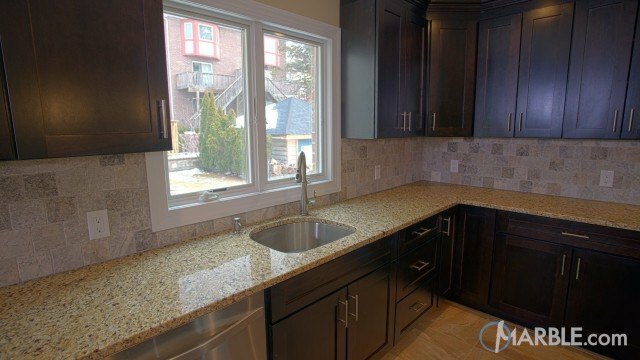 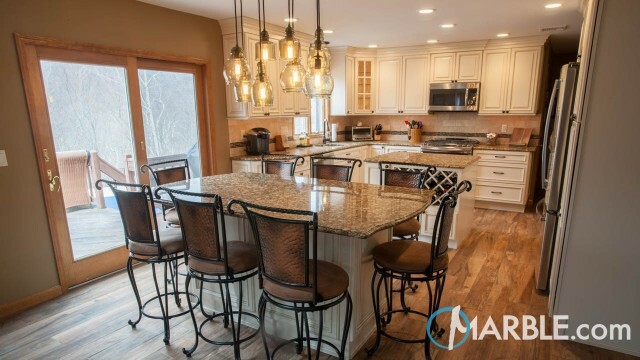 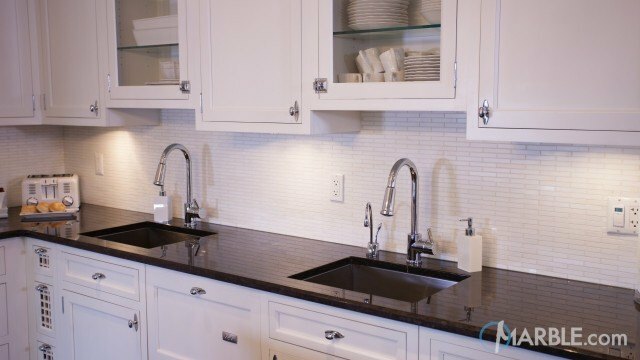 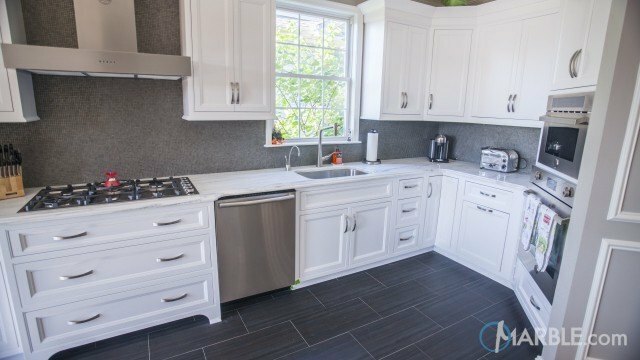 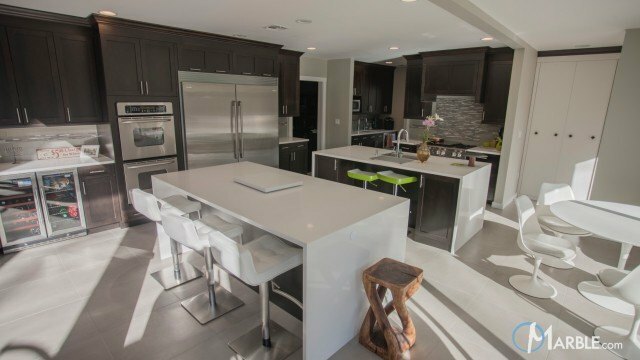 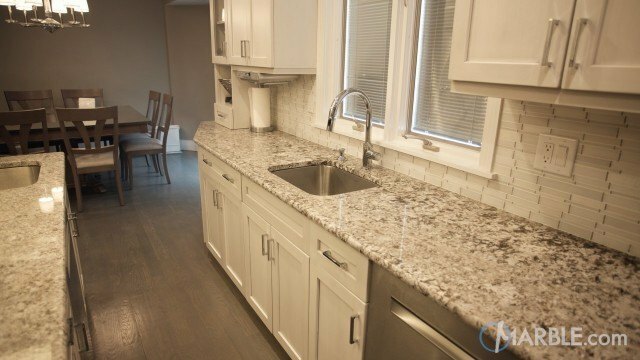 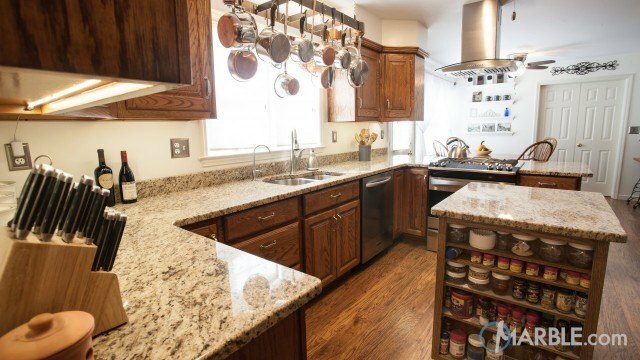 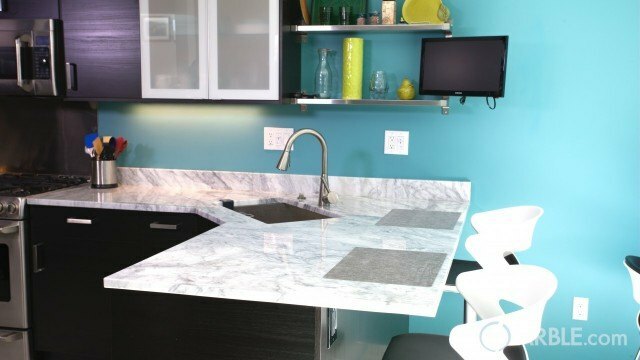 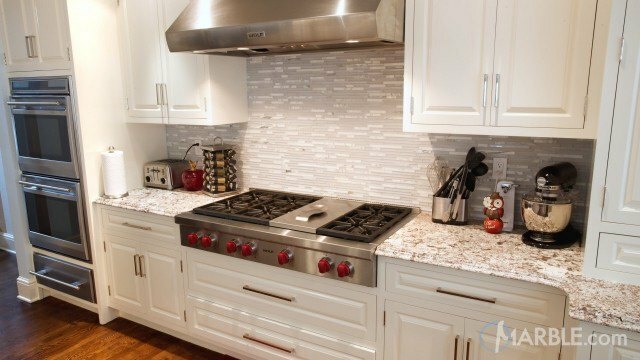 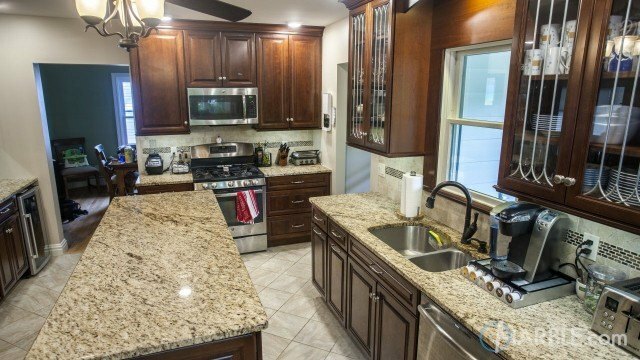 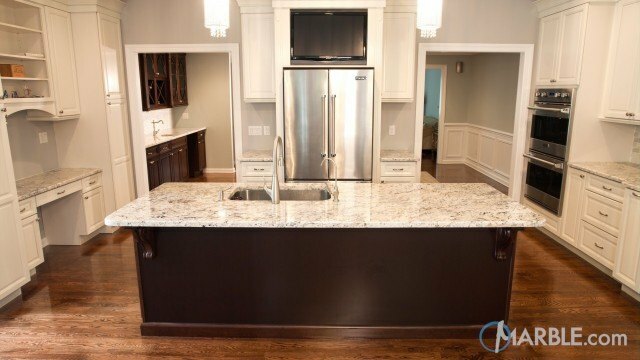 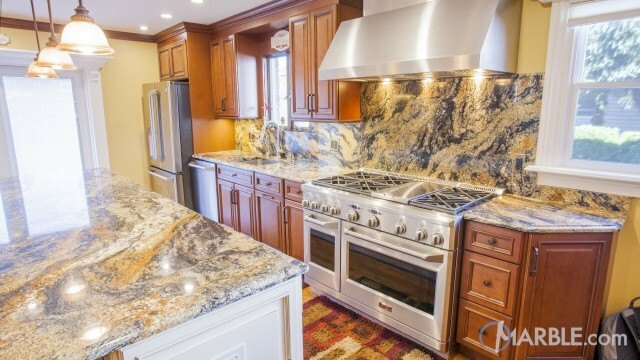 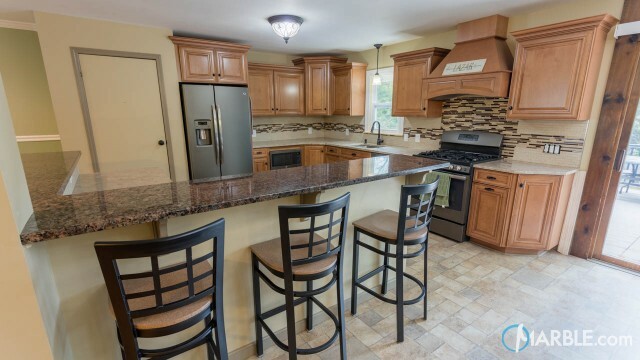 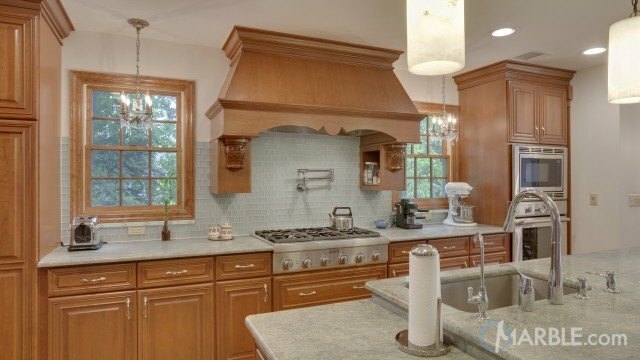 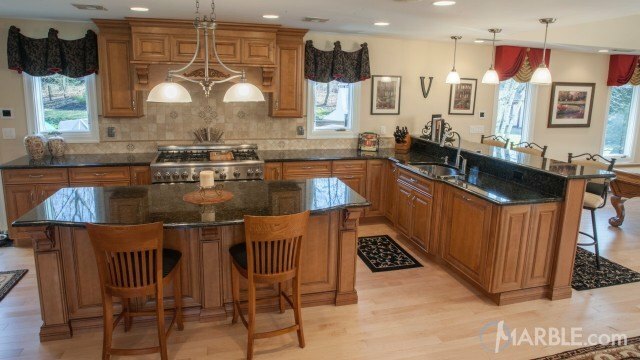 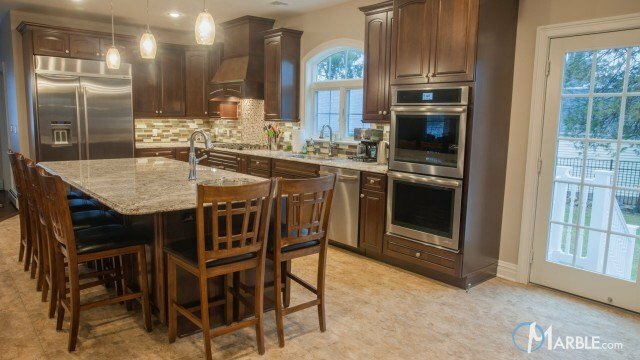 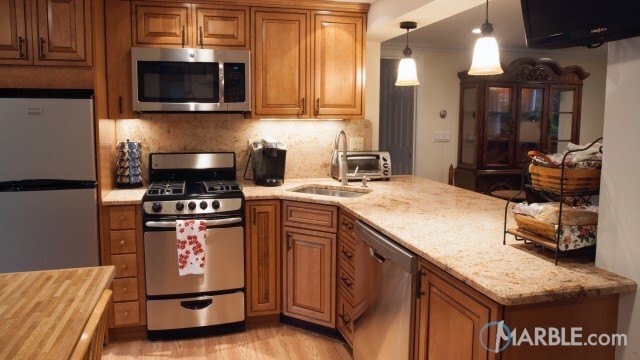 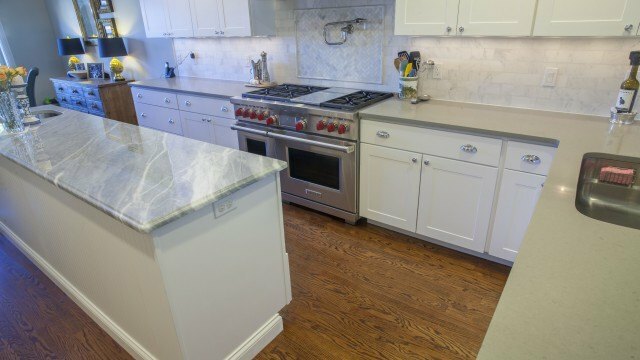 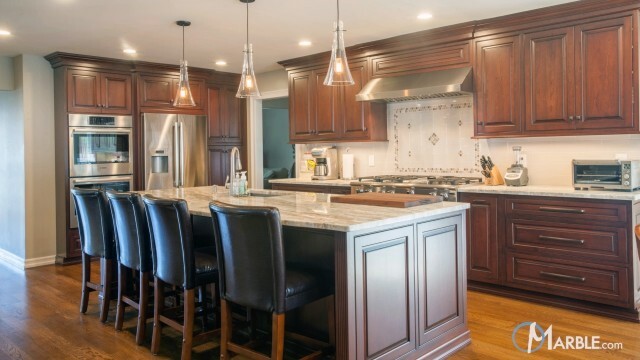 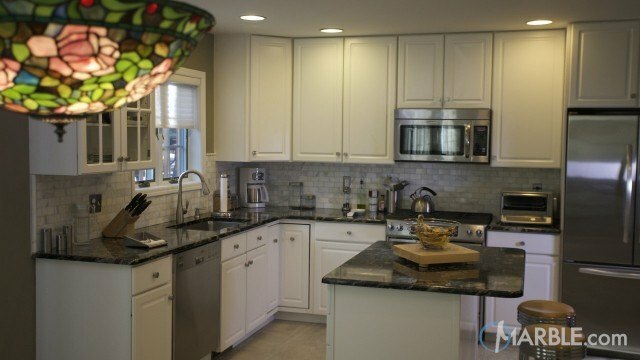 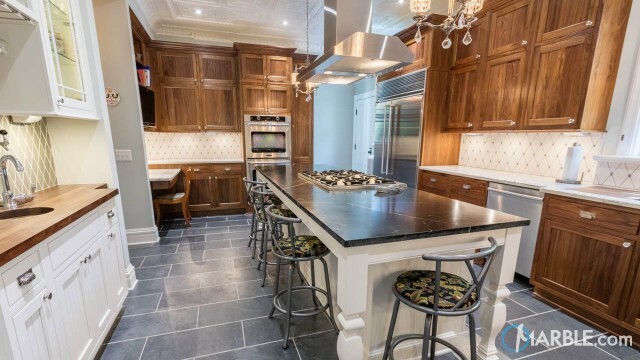 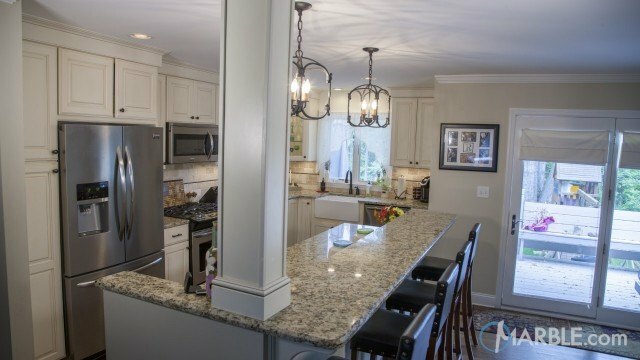 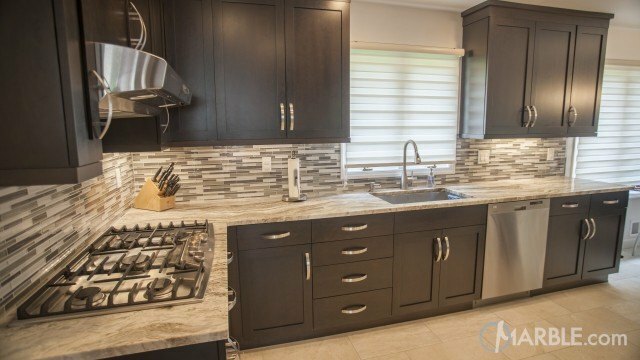 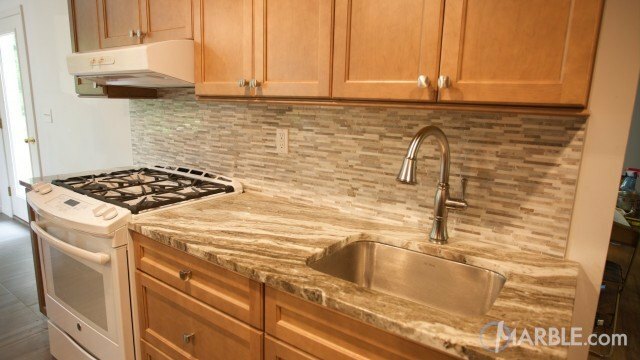 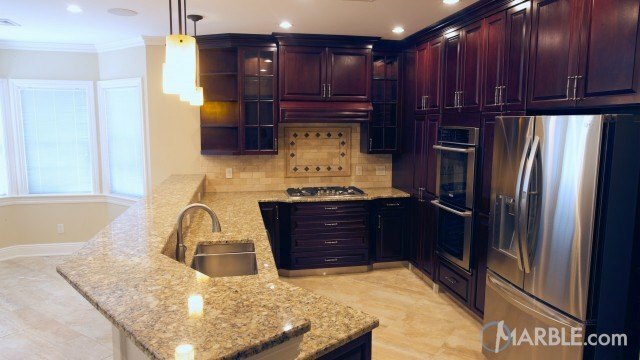 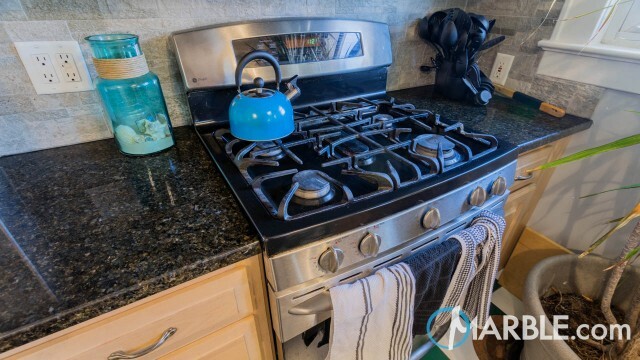 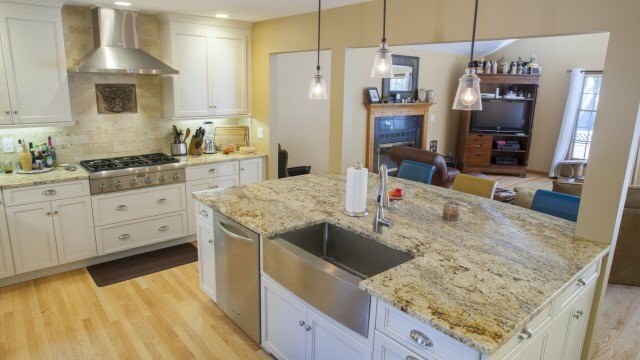 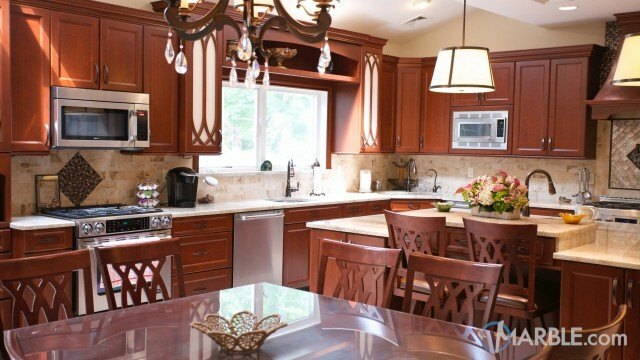 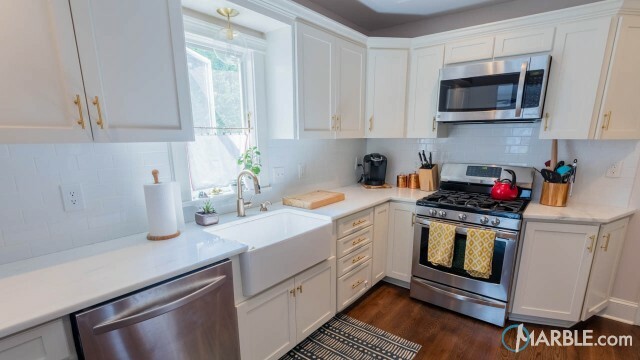 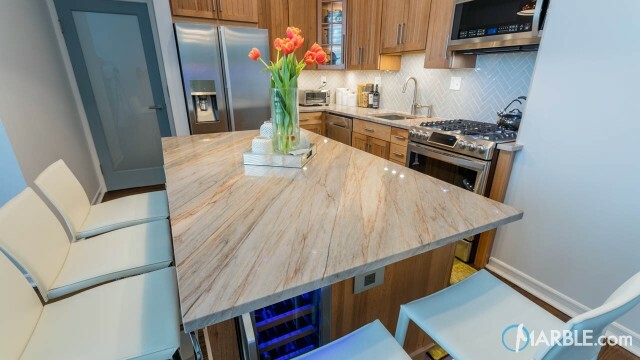 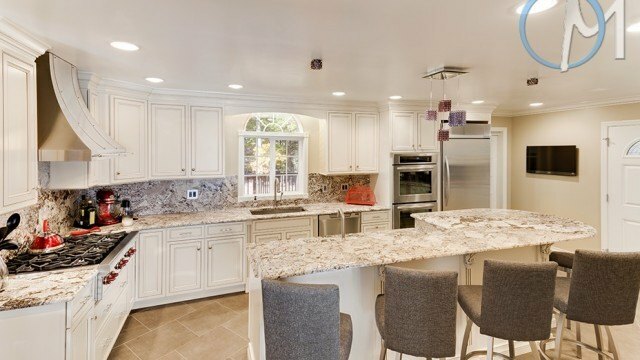 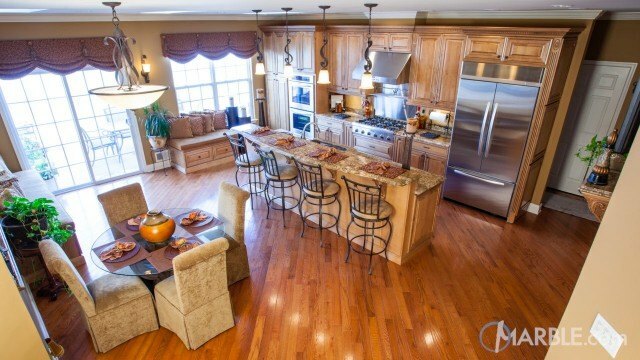 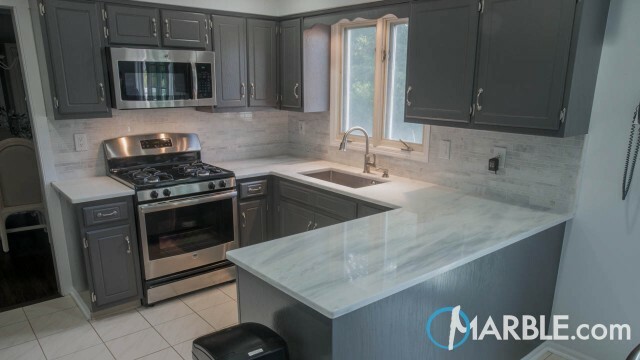 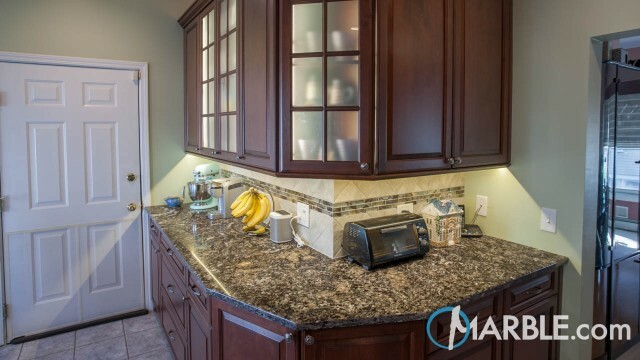 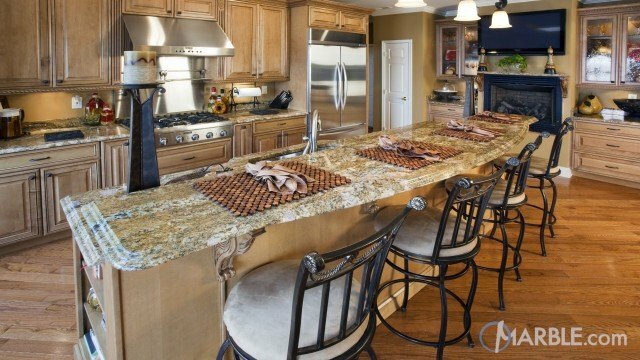 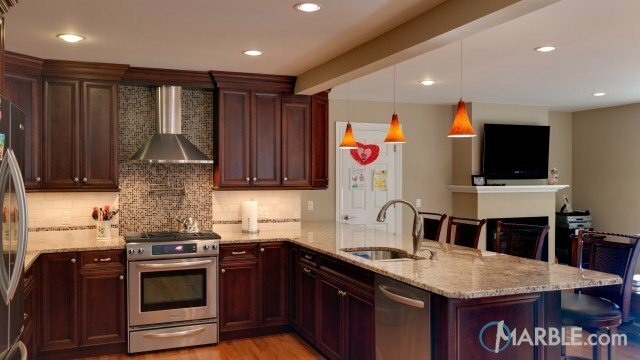 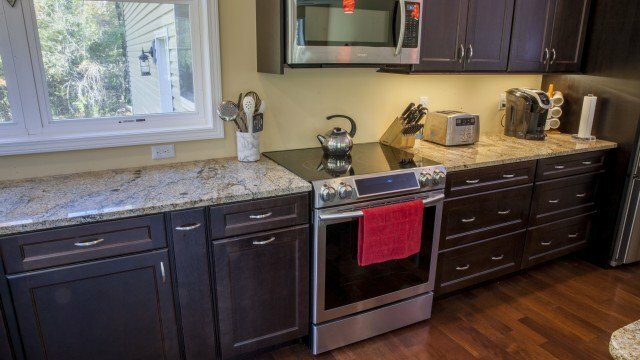 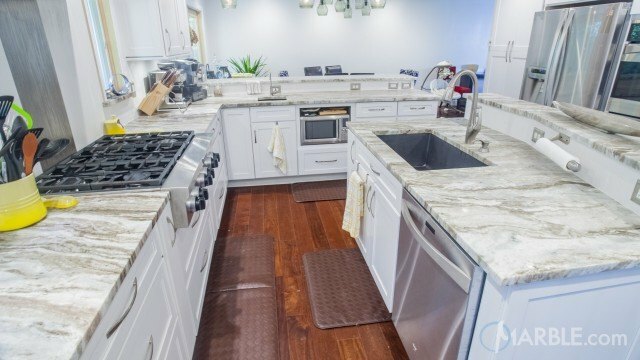 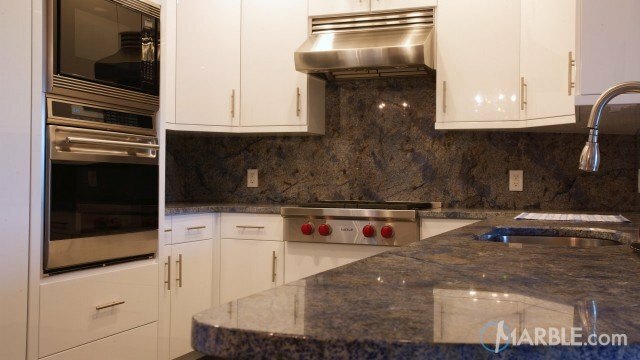 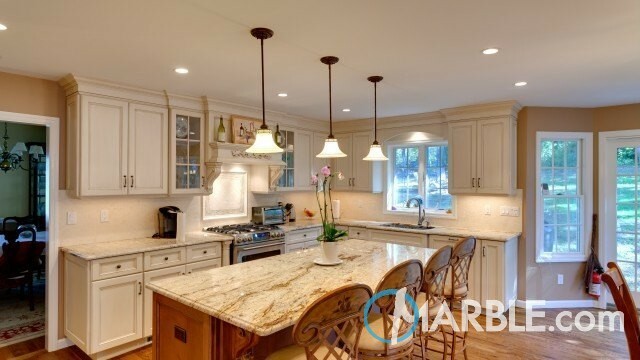 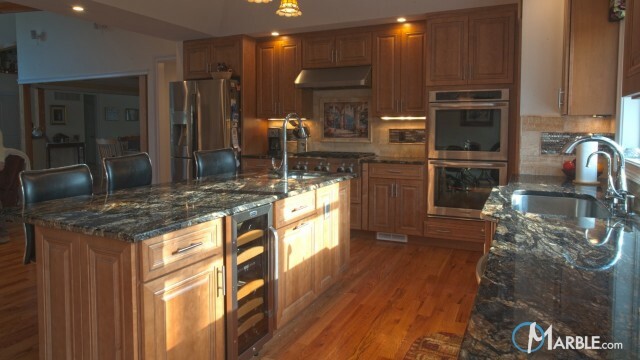 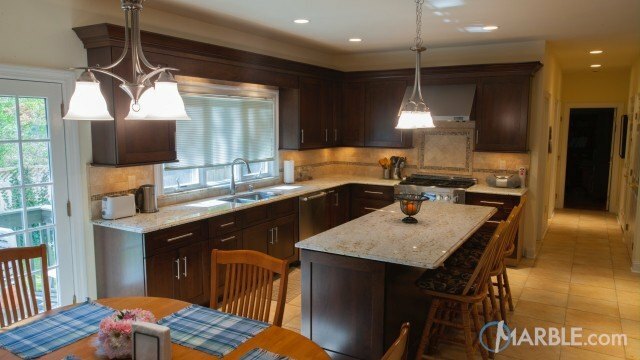 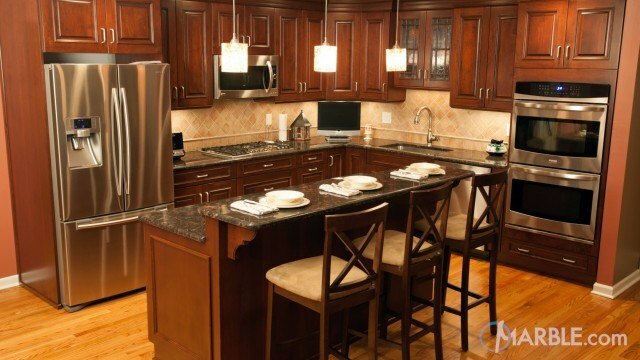 Stainless steel appliances add a touch of modern to the conventional color scheme.